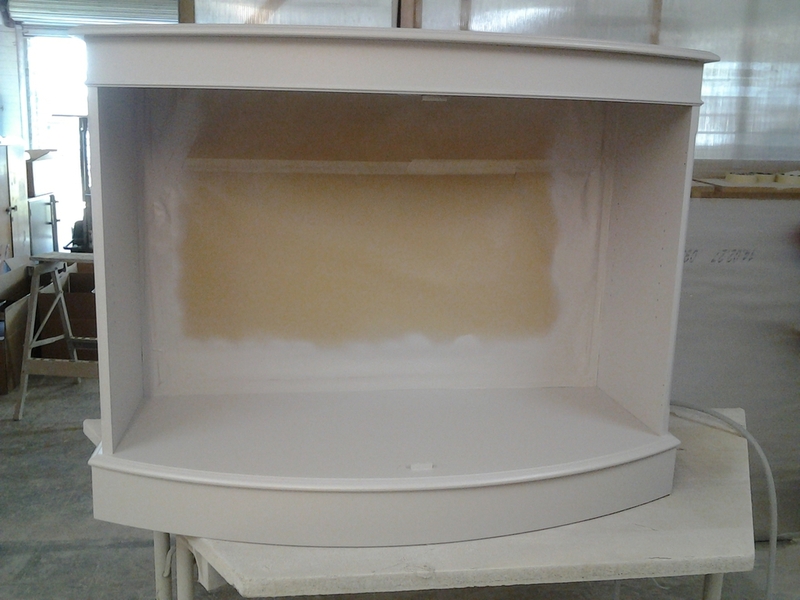 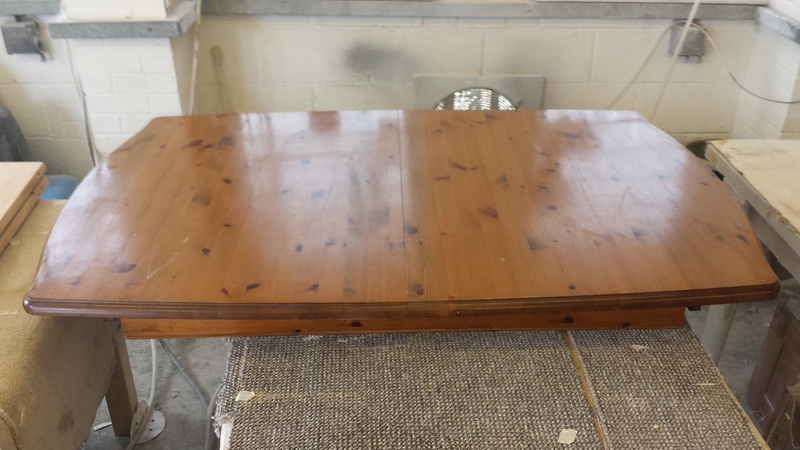 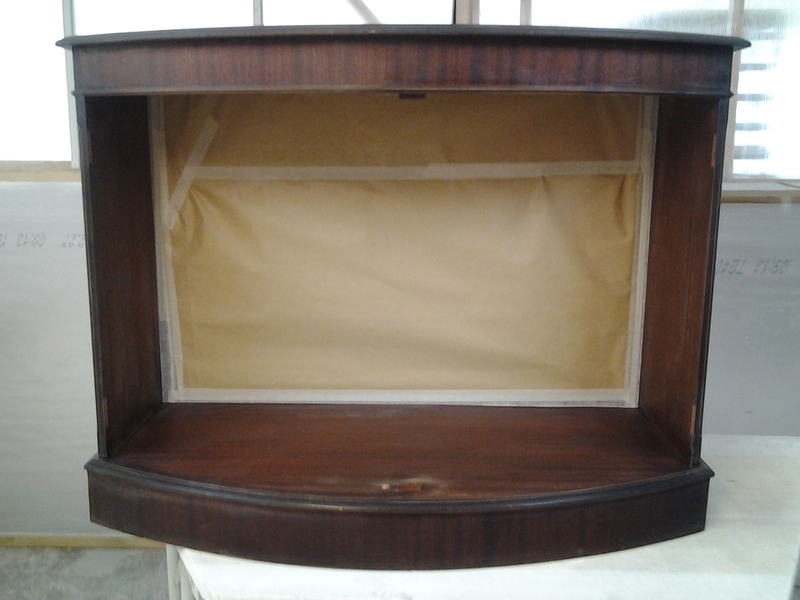 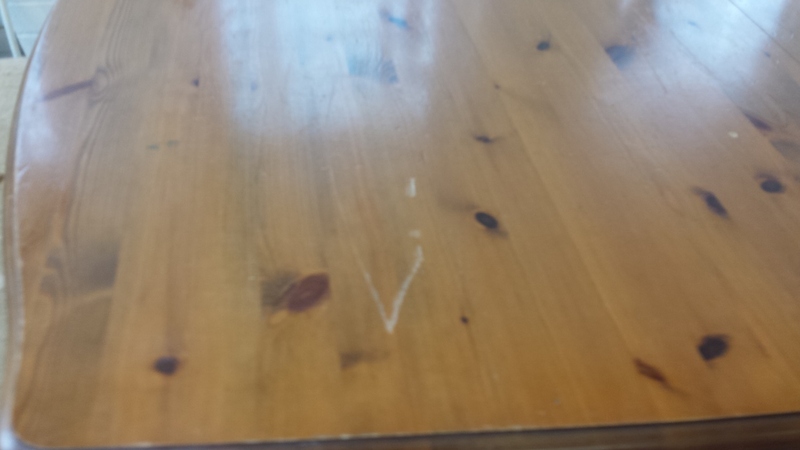 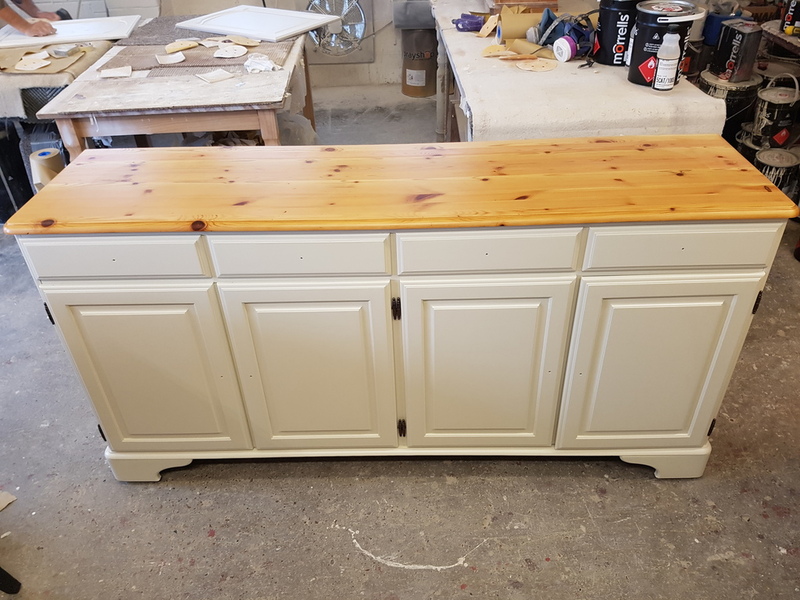 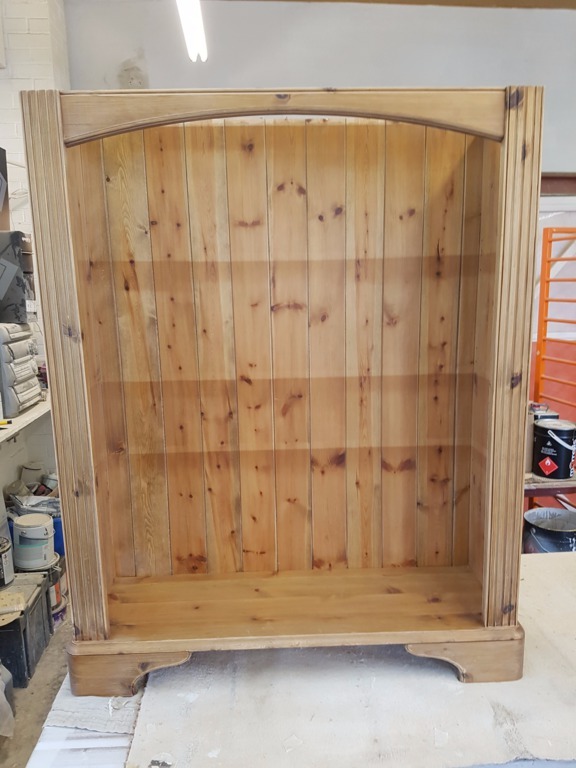 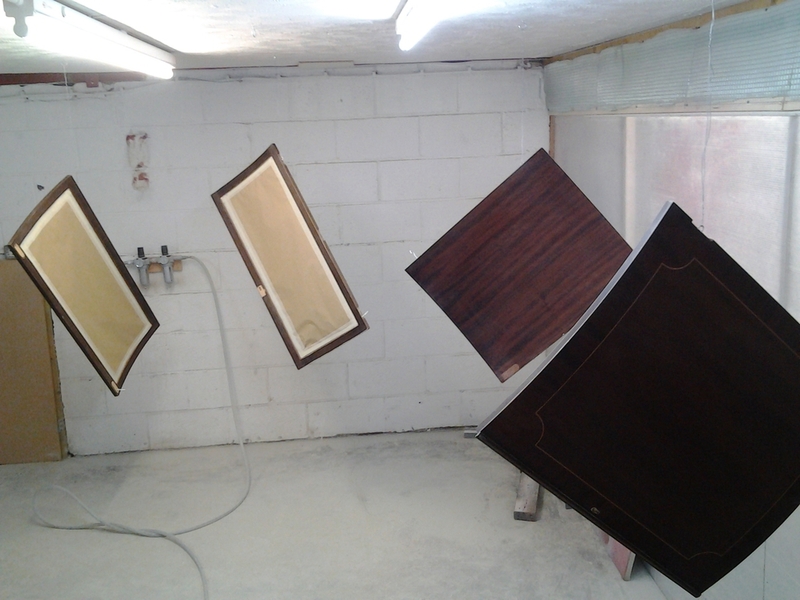 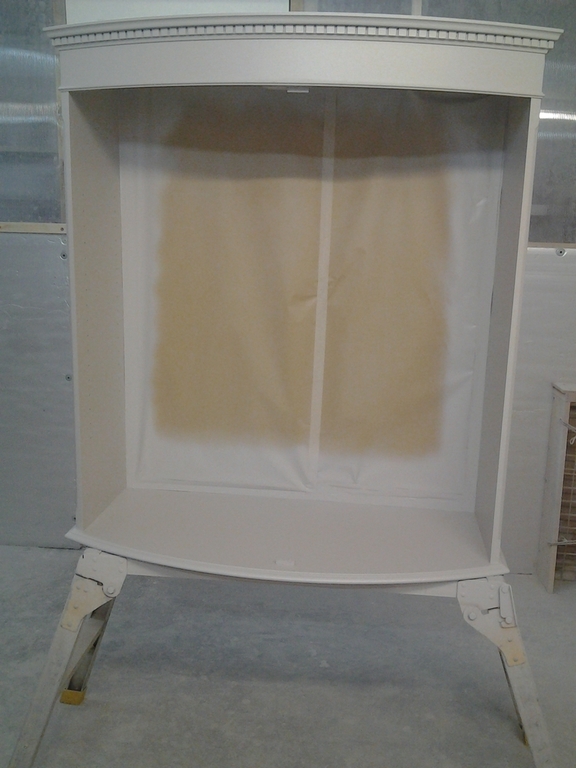 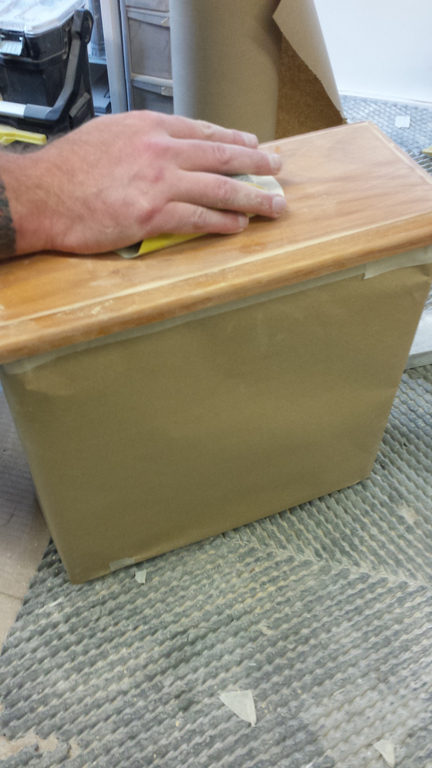 The slideshow below shows the story of our customers furniture being spray painted & transformed. 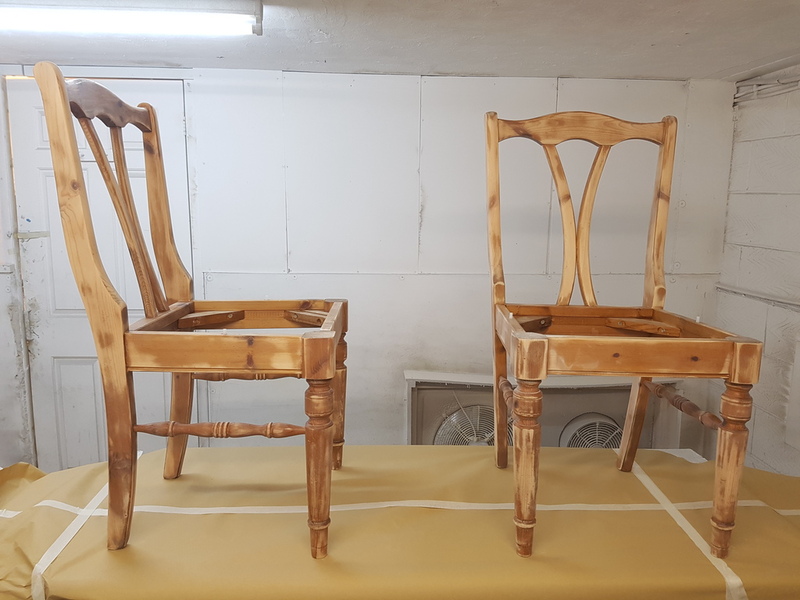 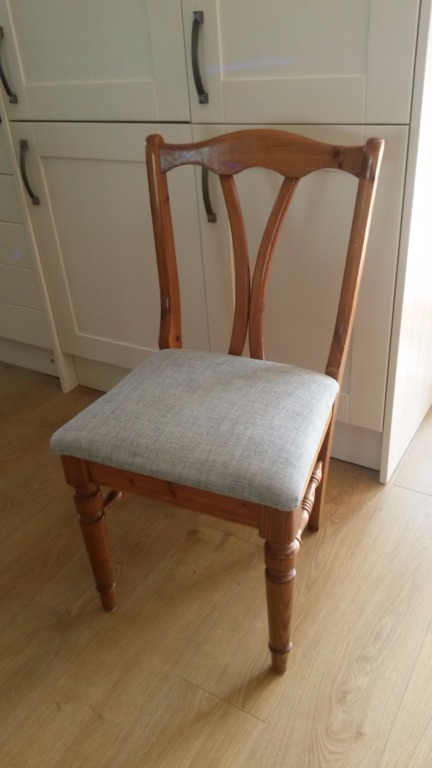 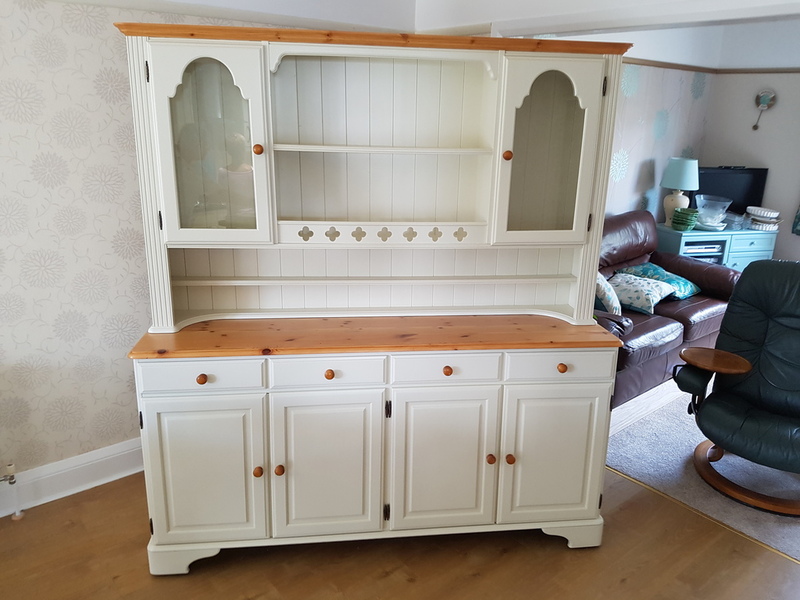 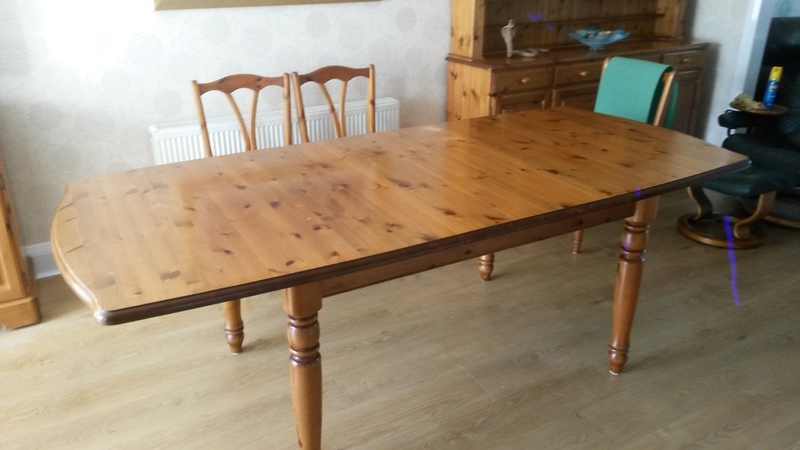 Our customers had bought the furniture many, many years ago, it was still in extremely good condition, plus it had cost them thousands of pounds. 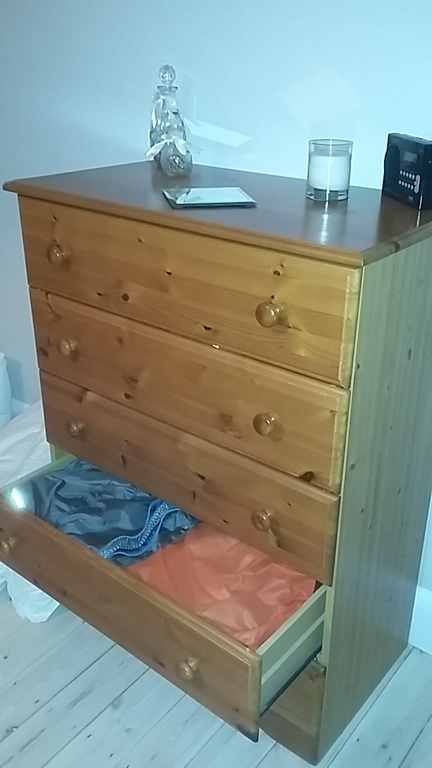 The only thing wrong with it was the colour. 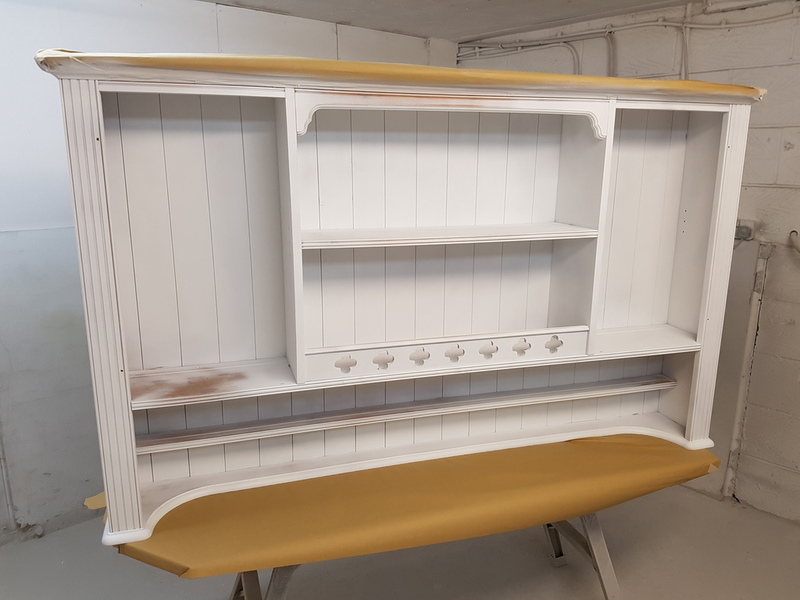 Their kitchen & dining room are open plan, so we sent off a piece of their kitchen for colour-matching and the paint was created. 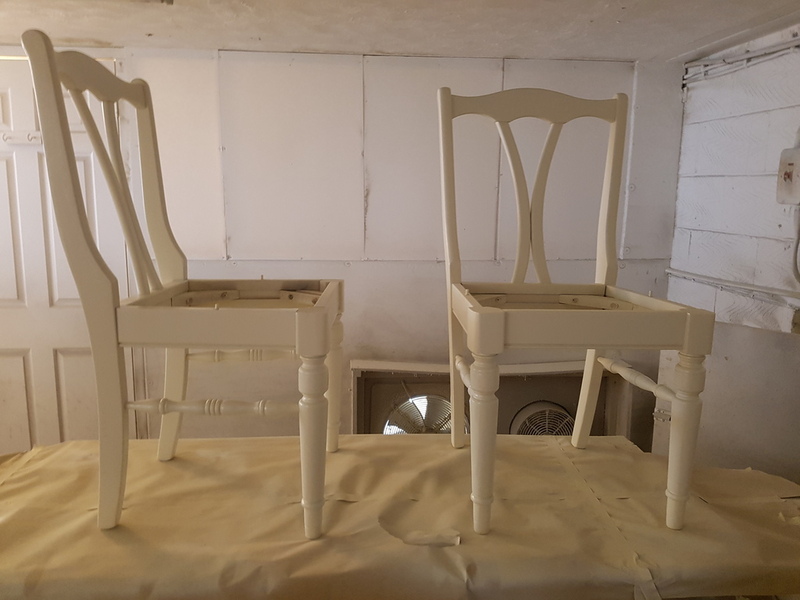 We prepared, primed and spray painted their dining table, six chairs, dresser, sideboard and bookcase to match the kitchen. 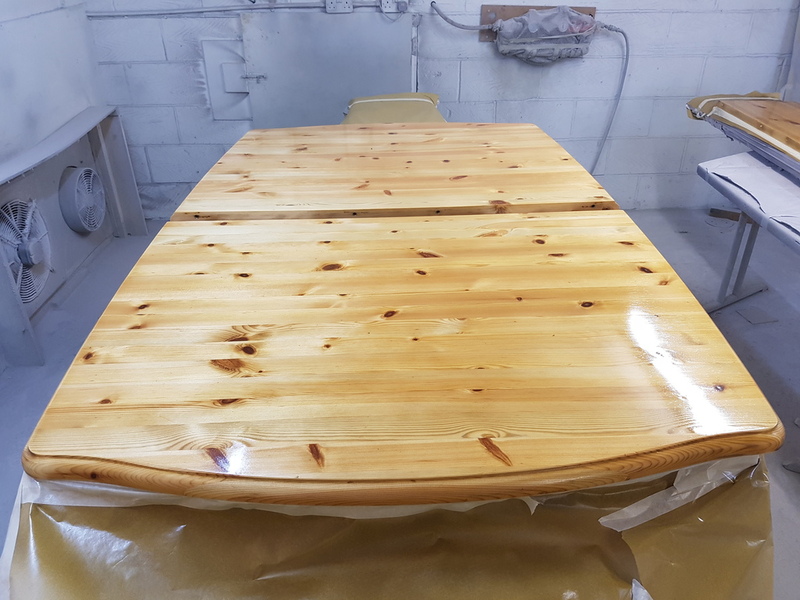 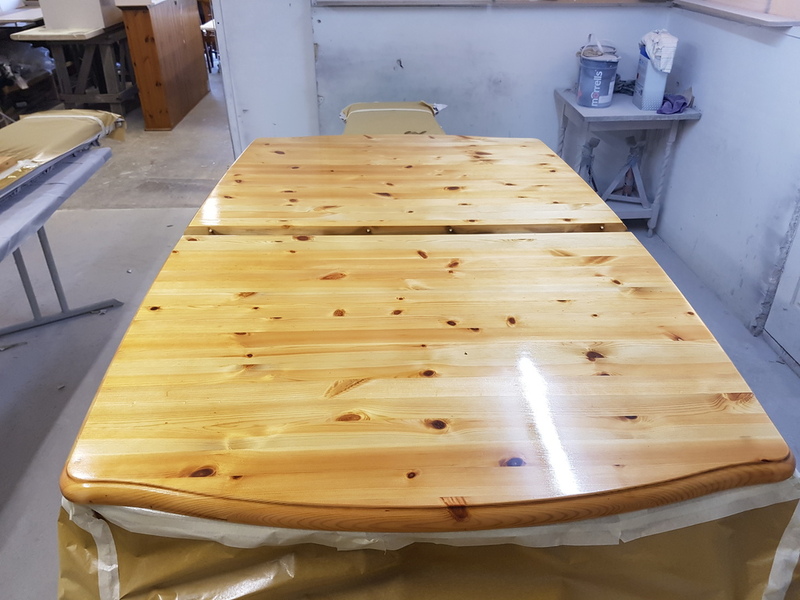 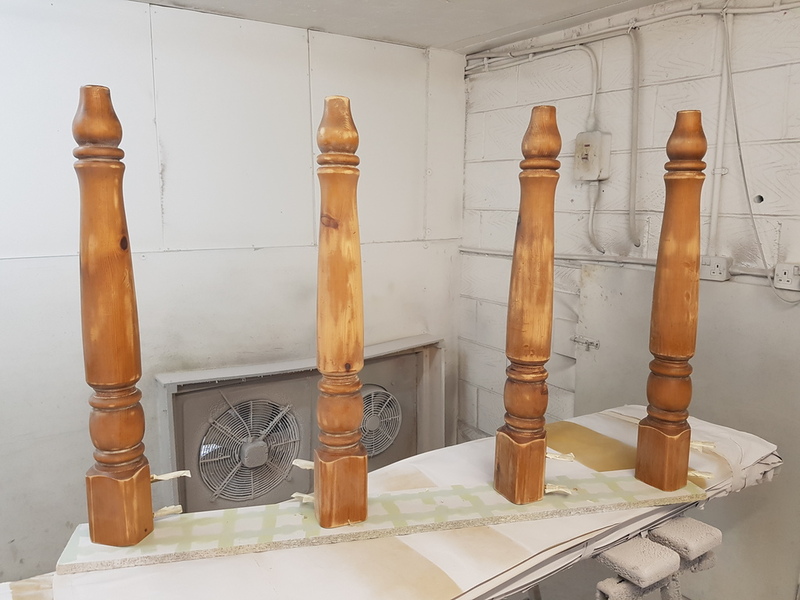 Our customers chose to keep the top surfaces of each item natural, so we sanded them back and then sprayed them with a clear hardened lacquer. 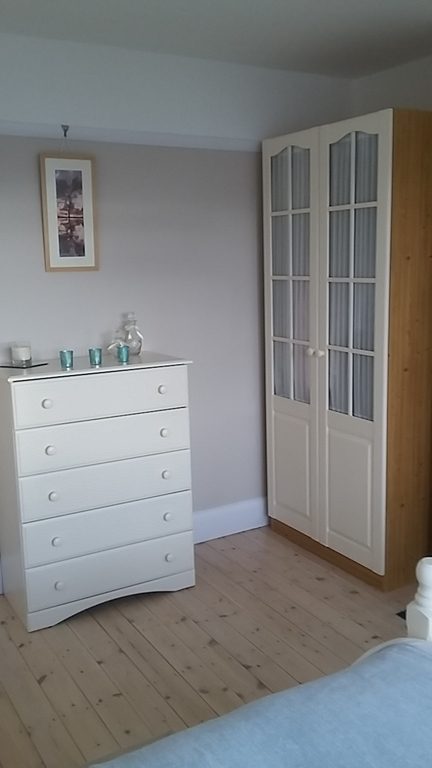 Their furniture now has a new lease of life and fits in with the colour-scheme of their home. 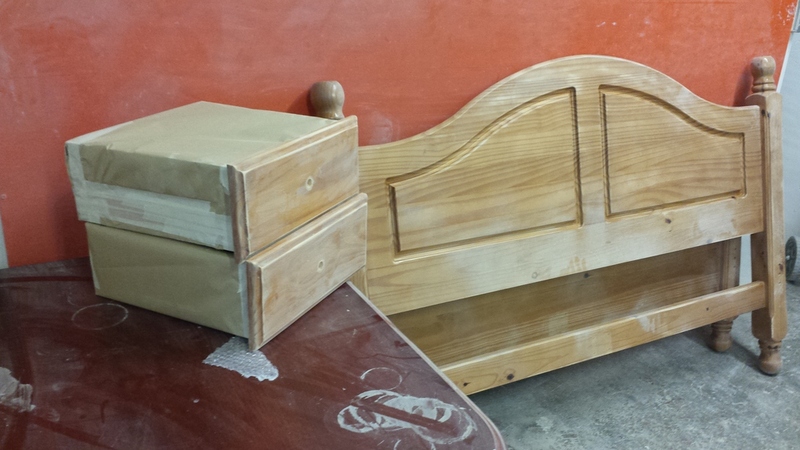 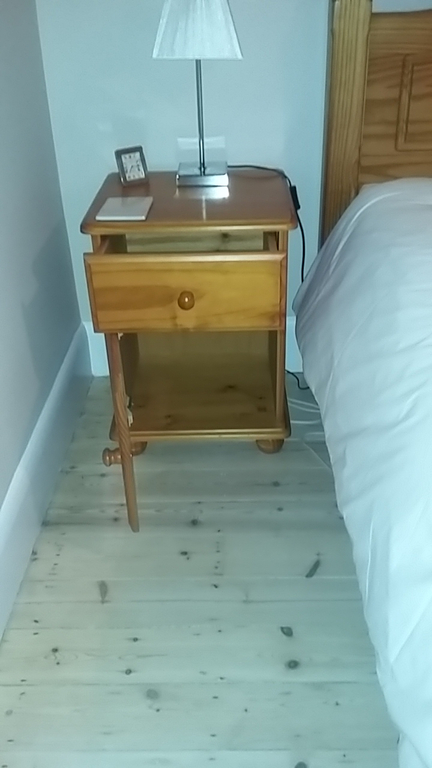 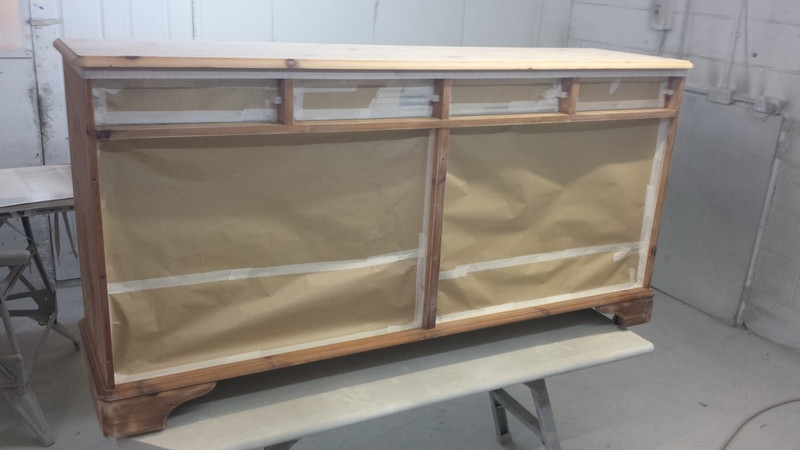 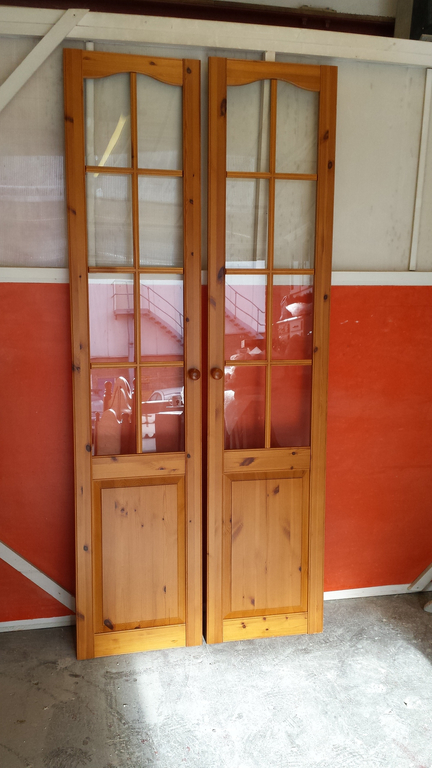 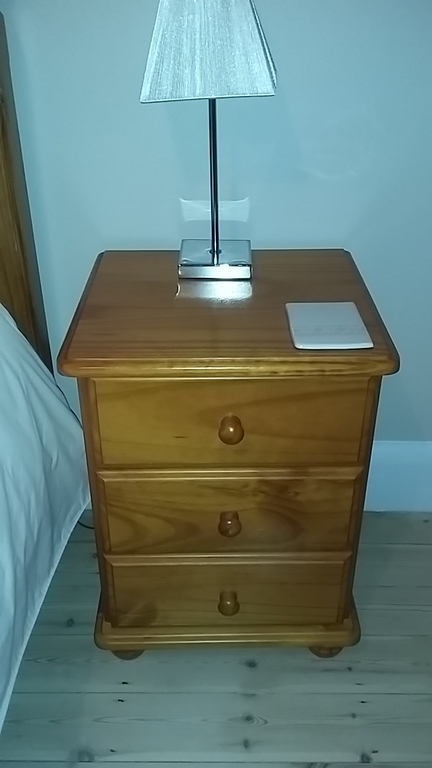 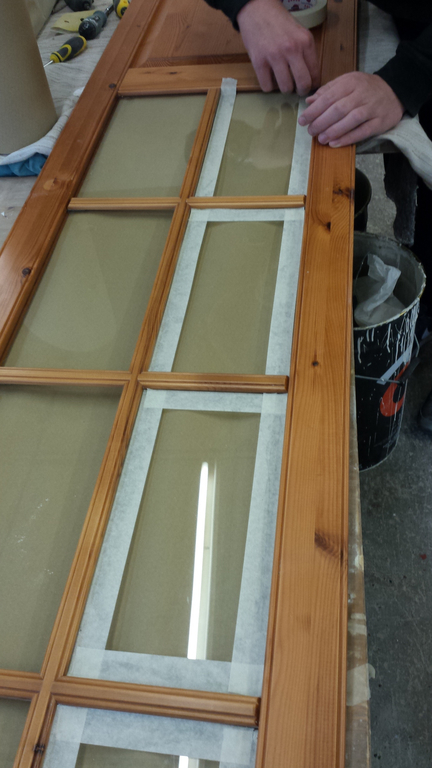 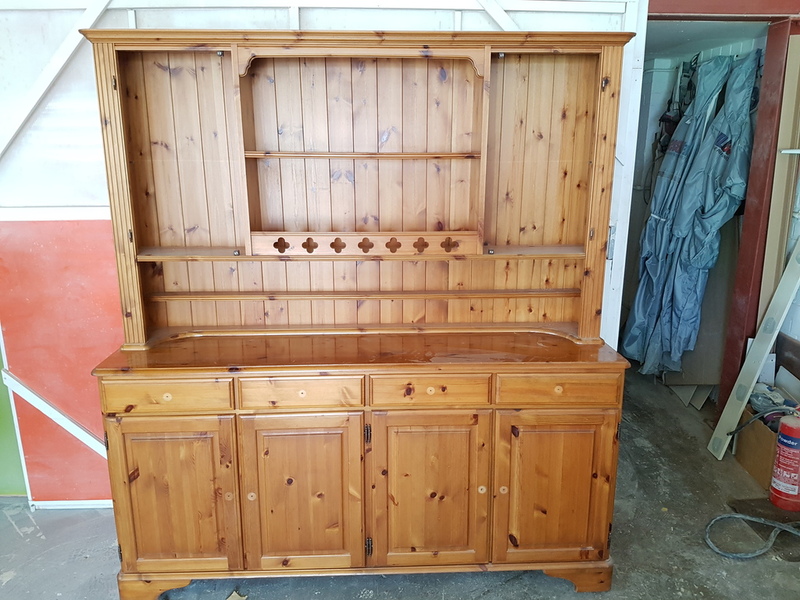 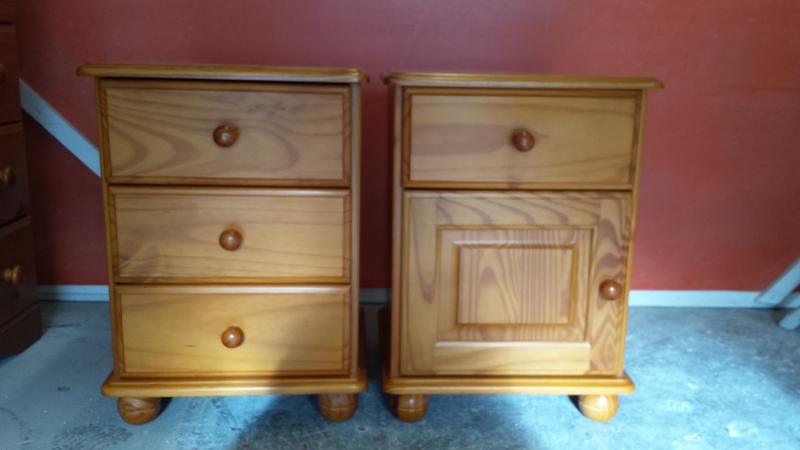 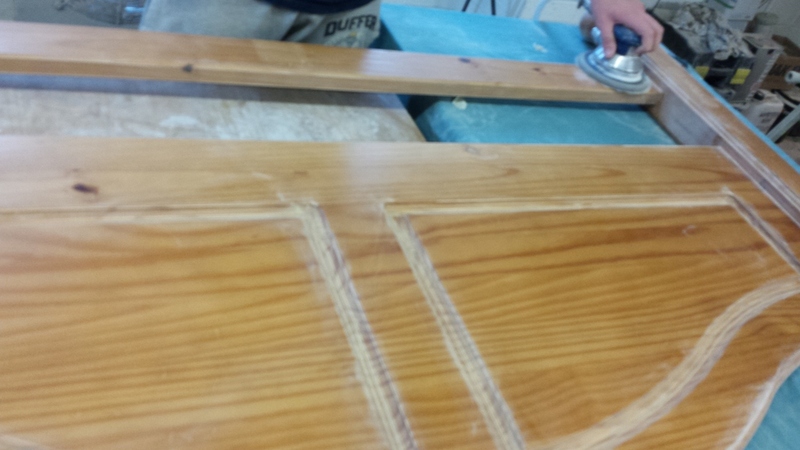 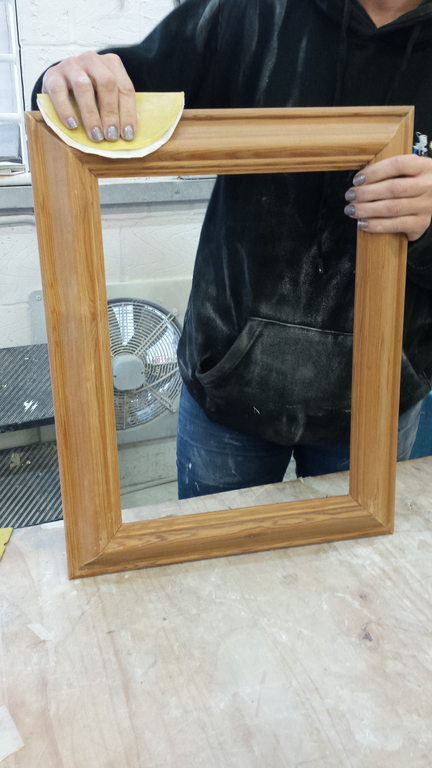 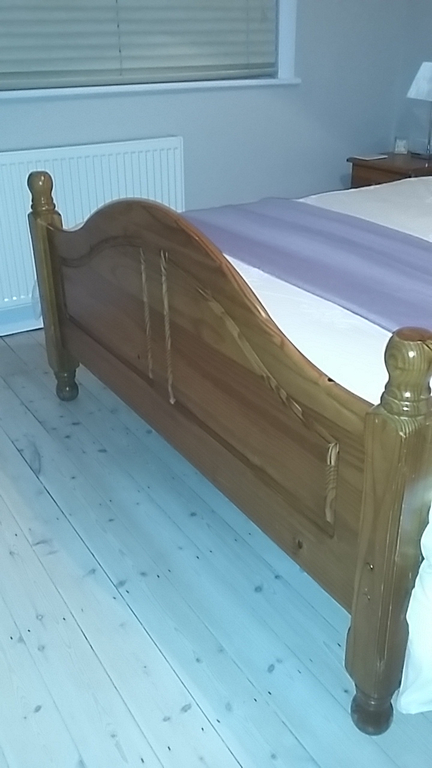 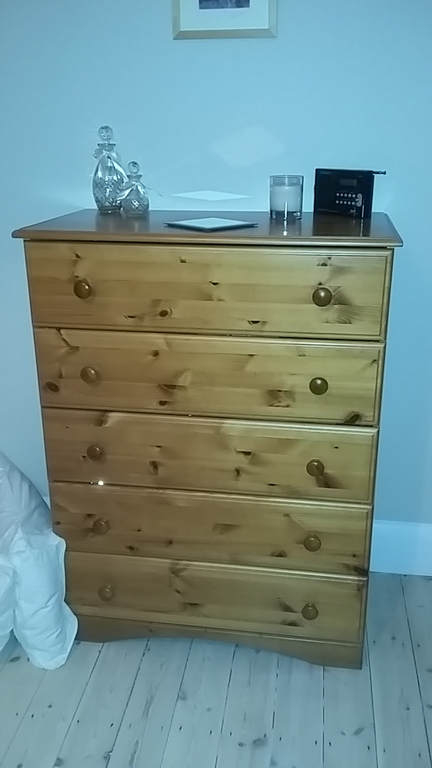 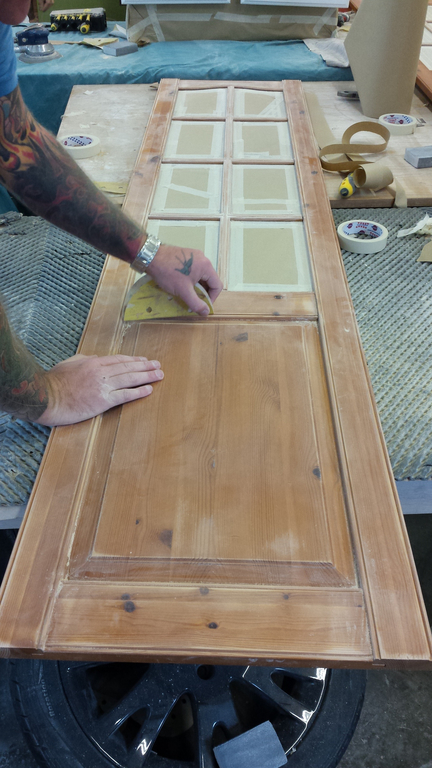 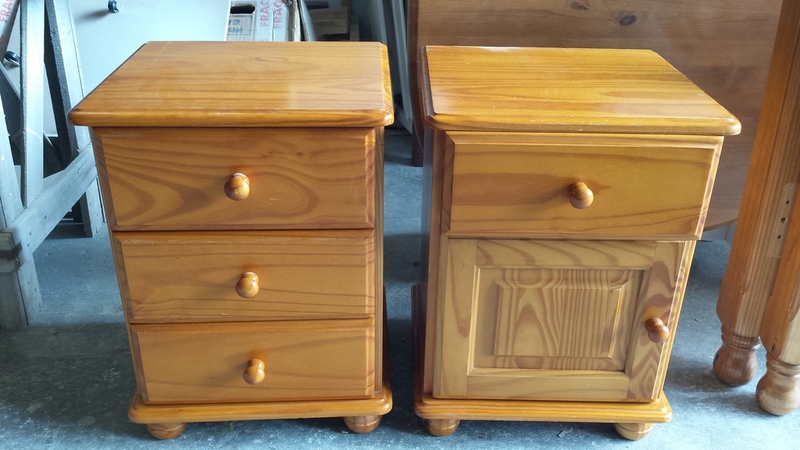 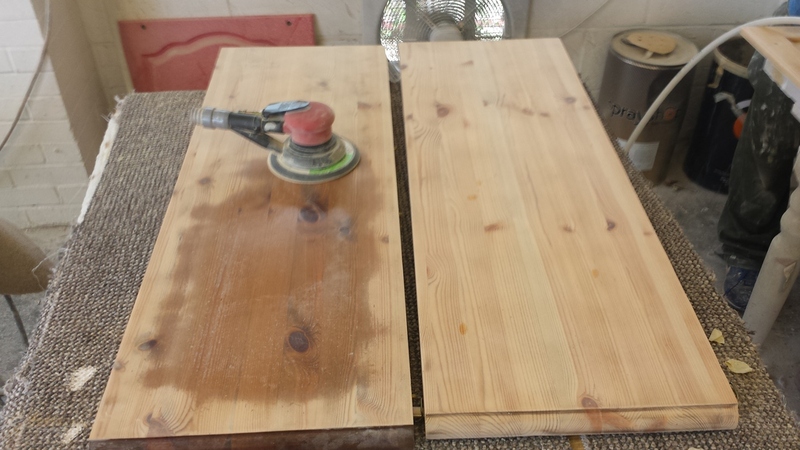 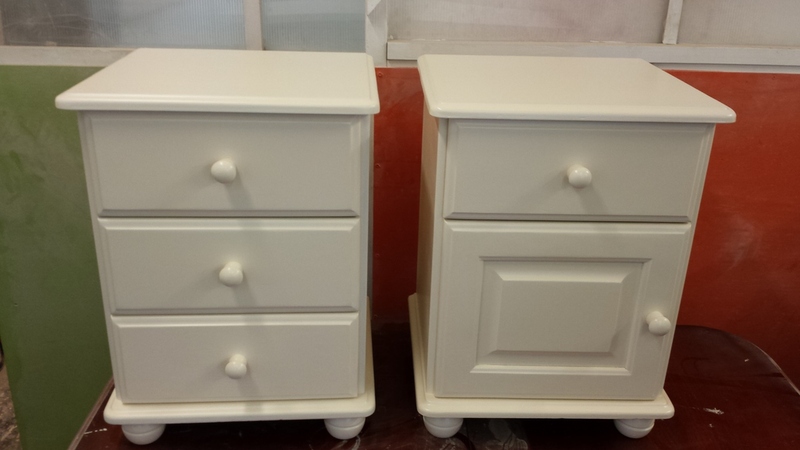 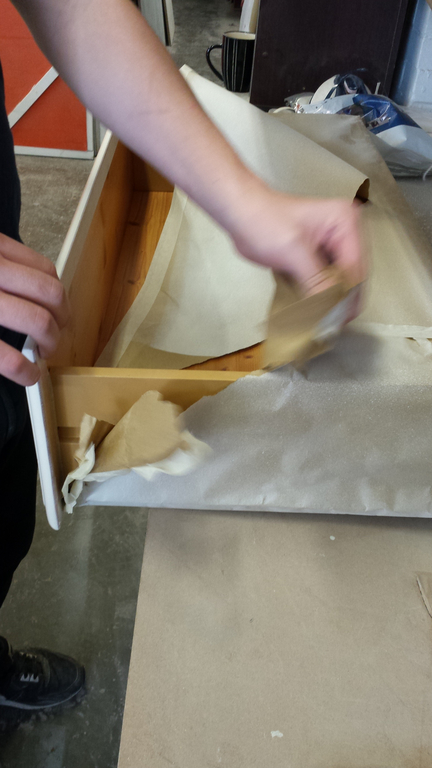 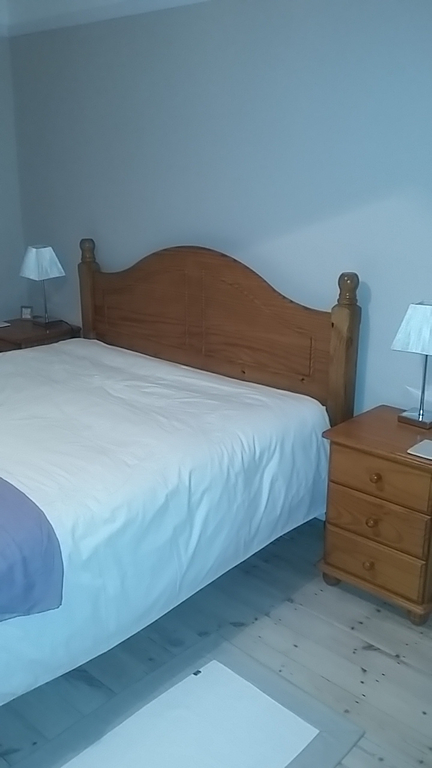 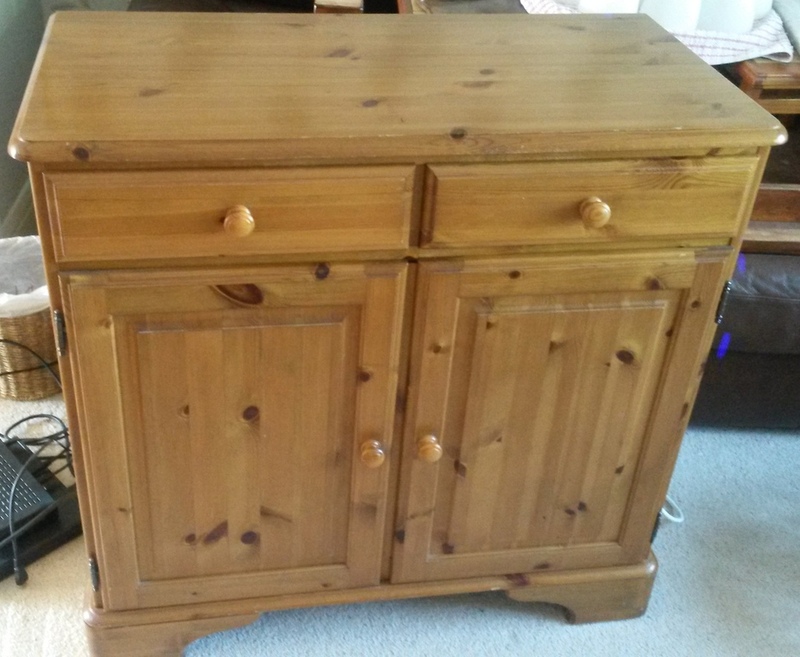 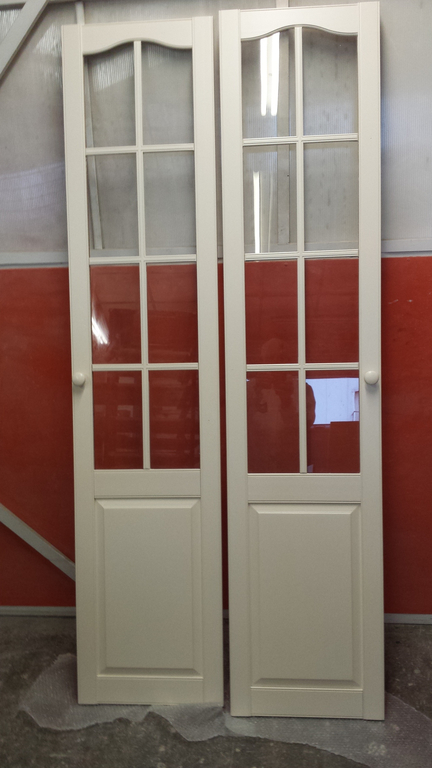 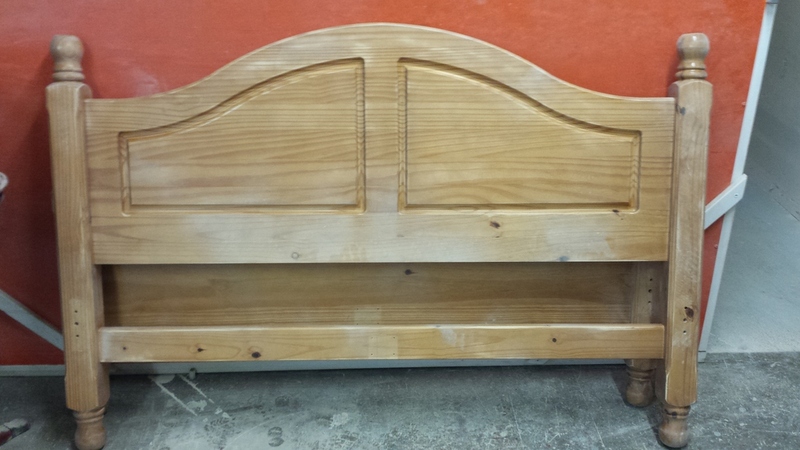 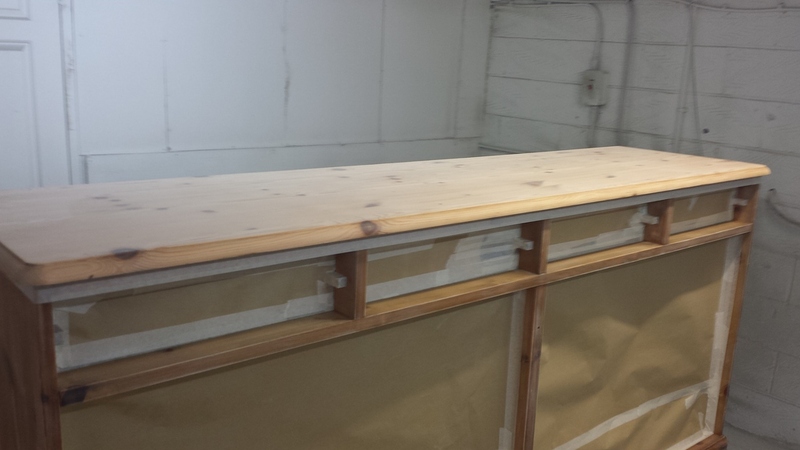 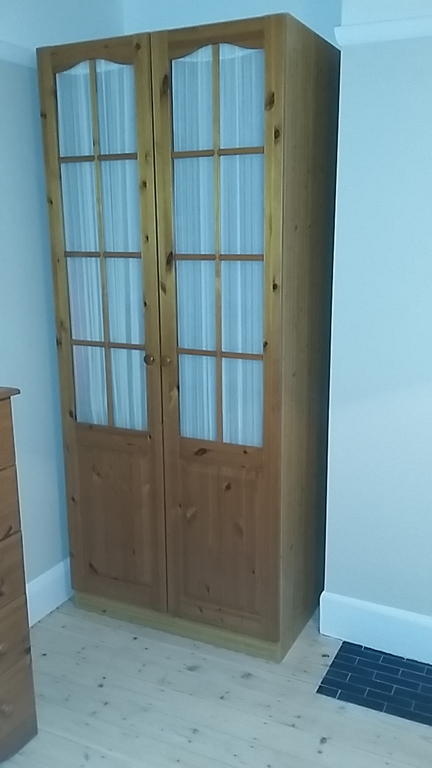 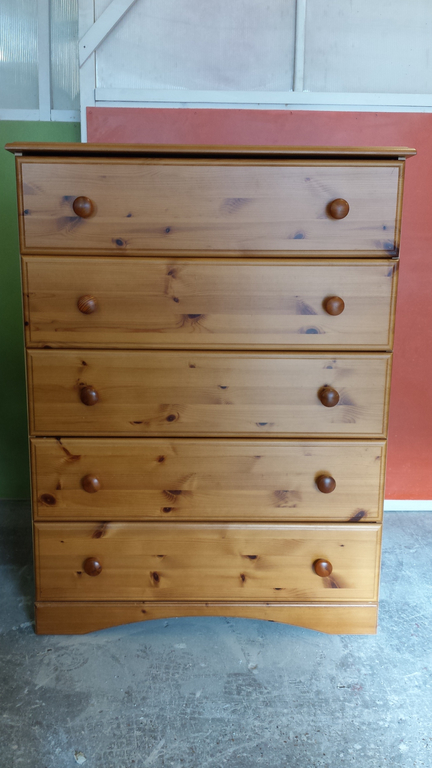 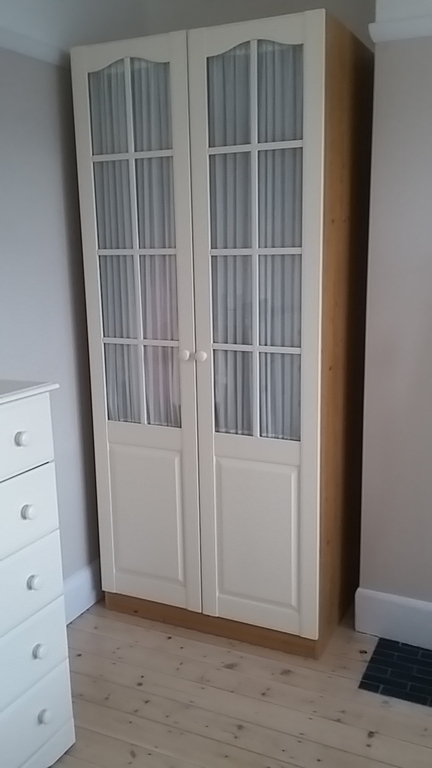 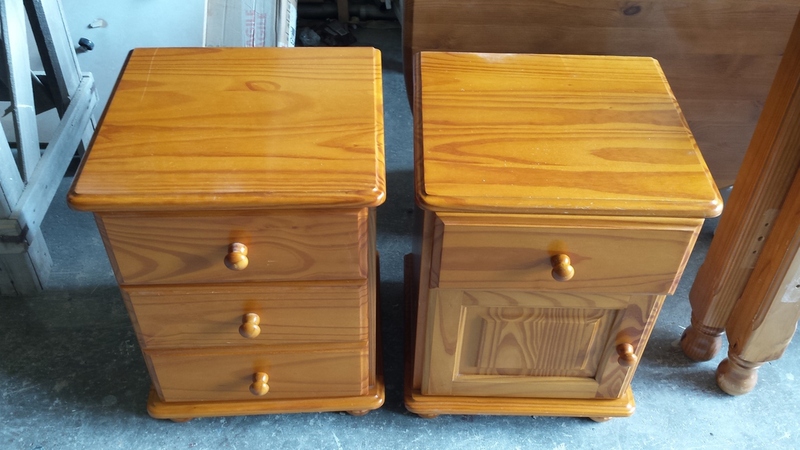 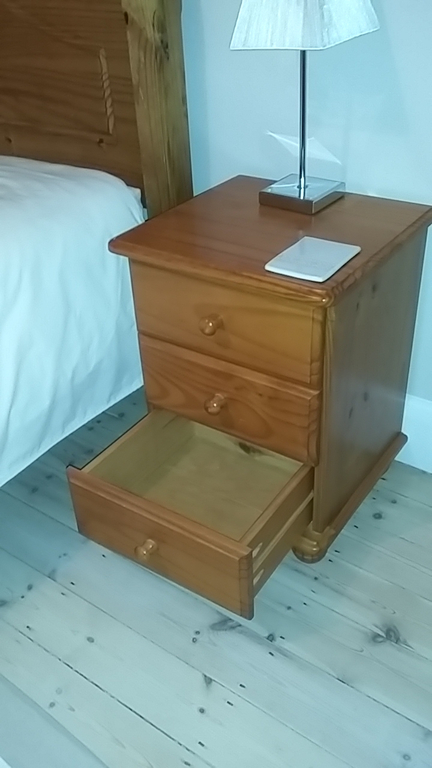 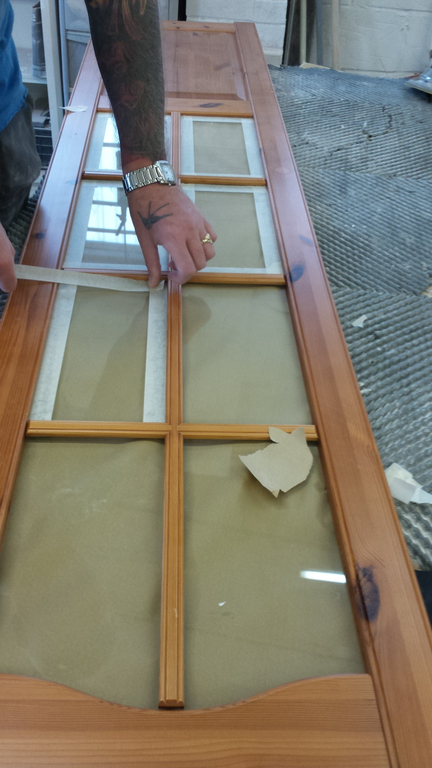 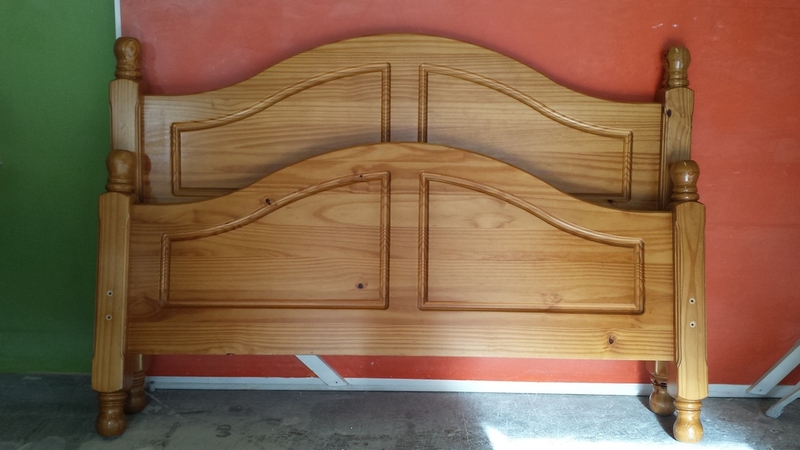 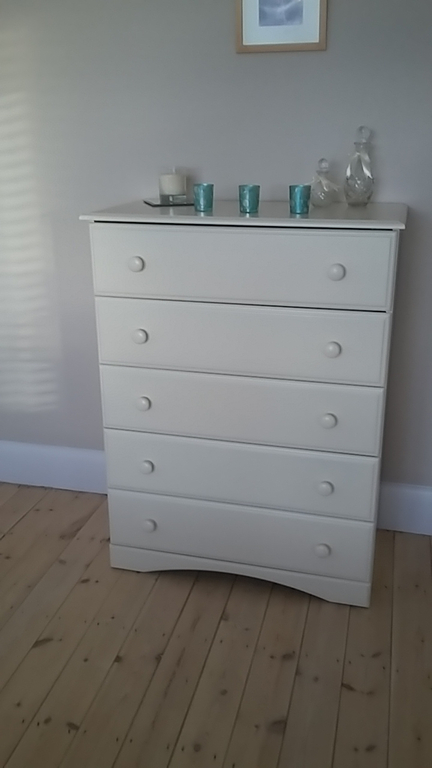 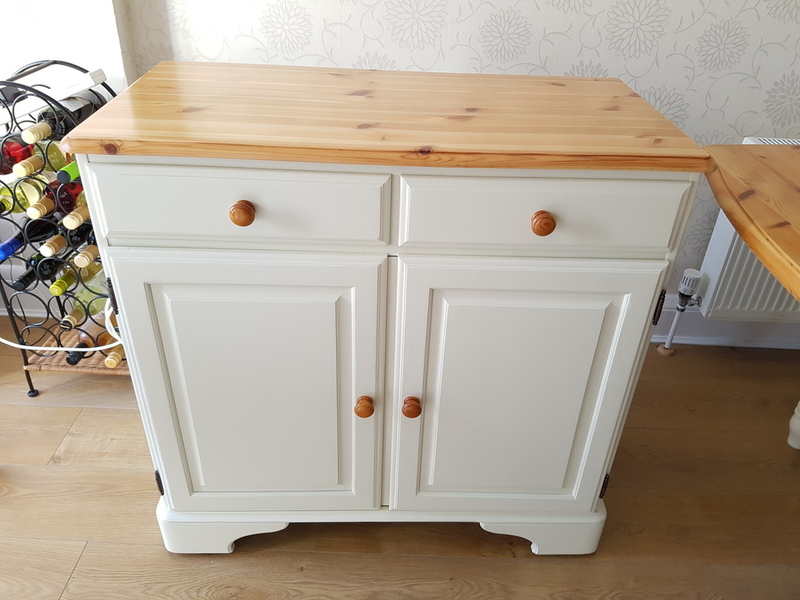 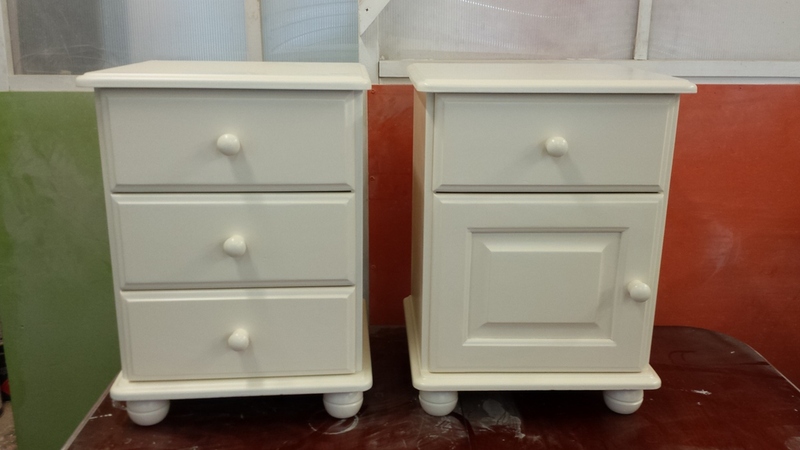 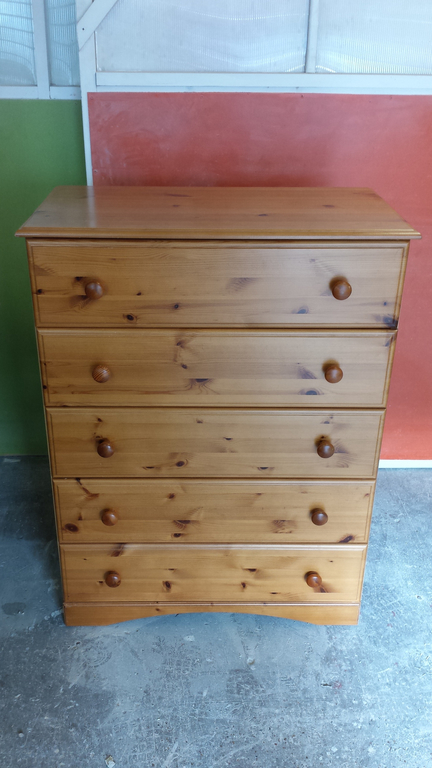 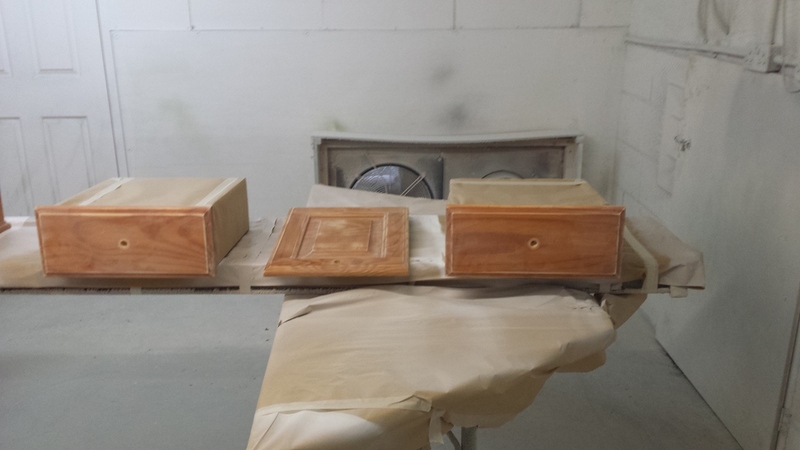 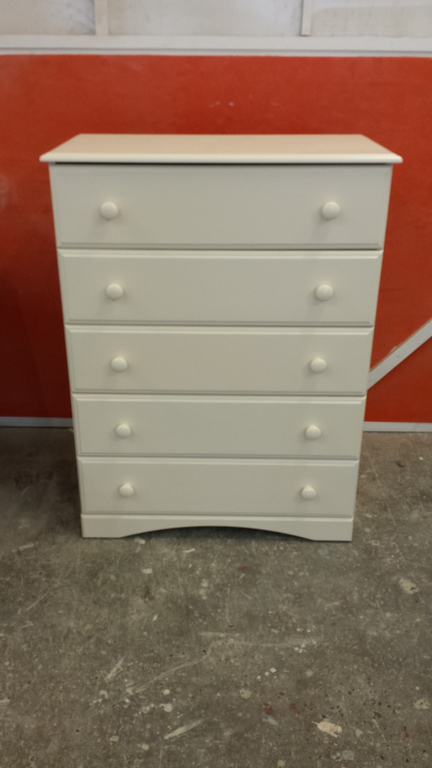 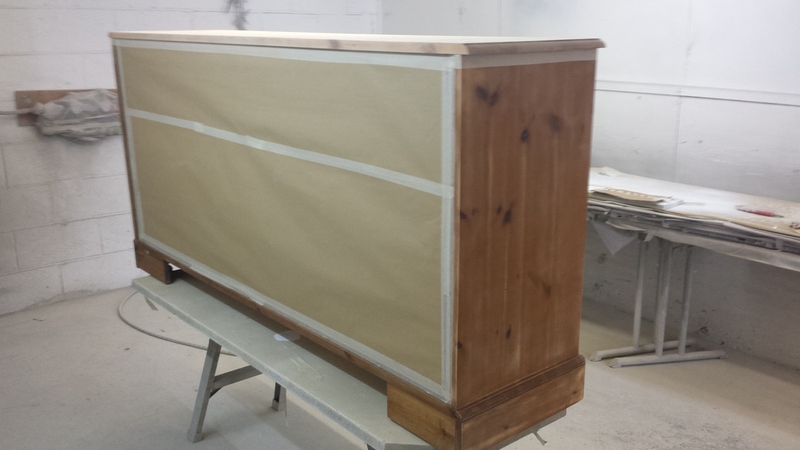 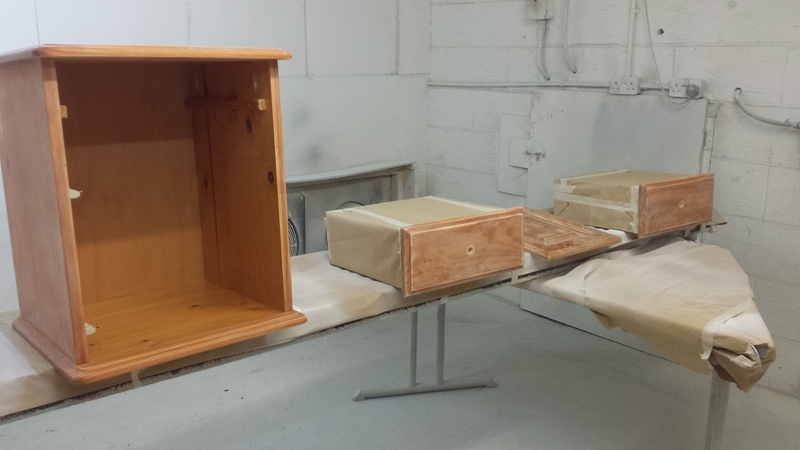 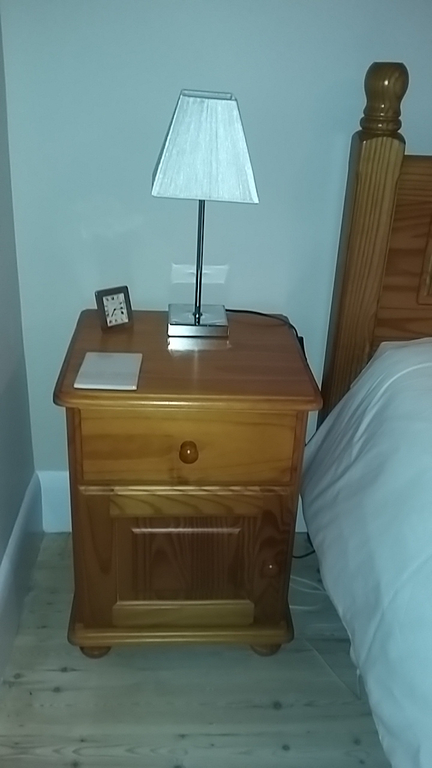 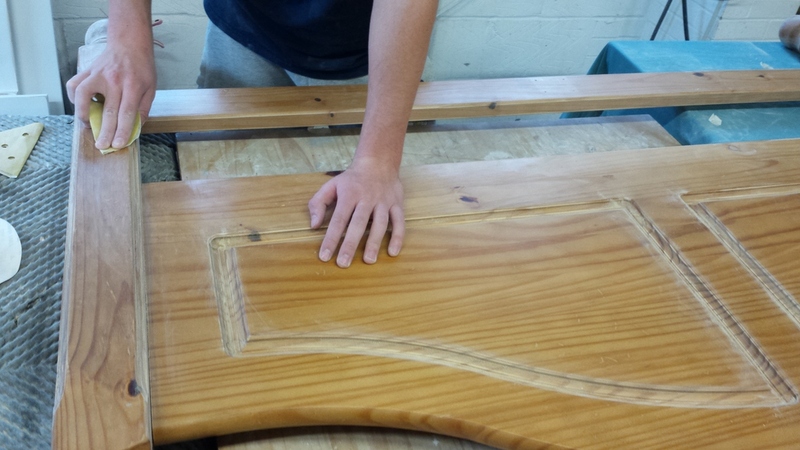 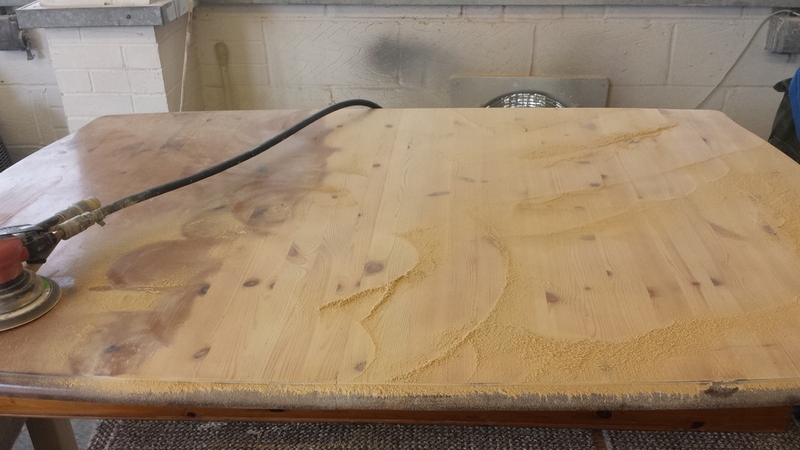 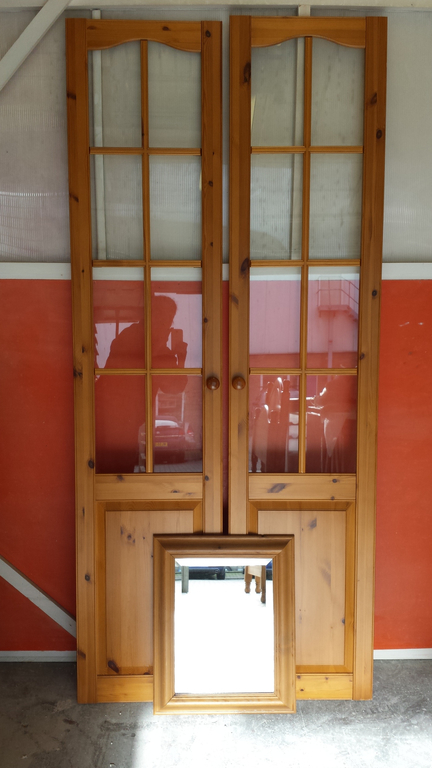 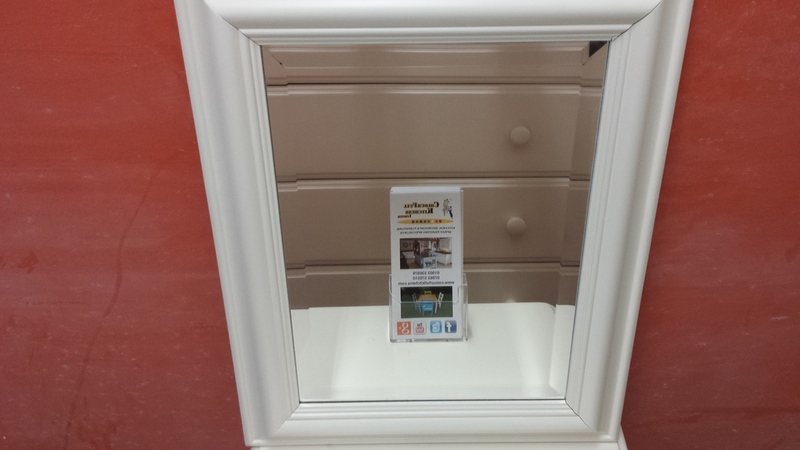 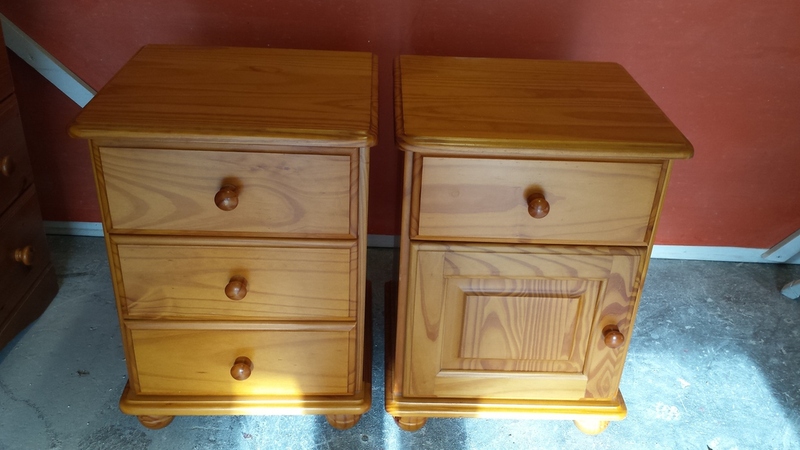 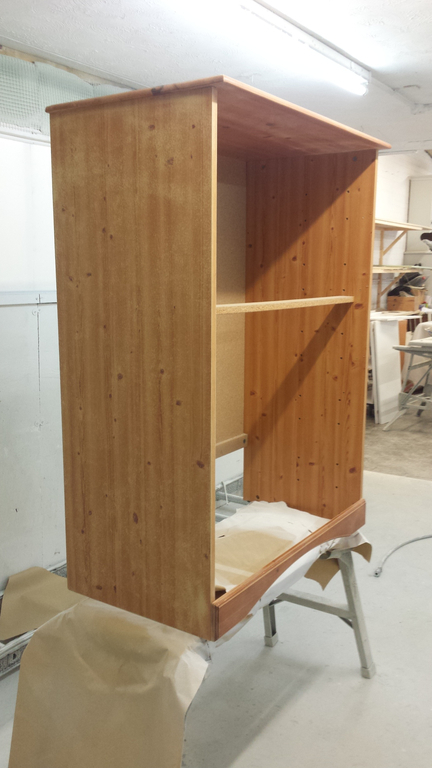 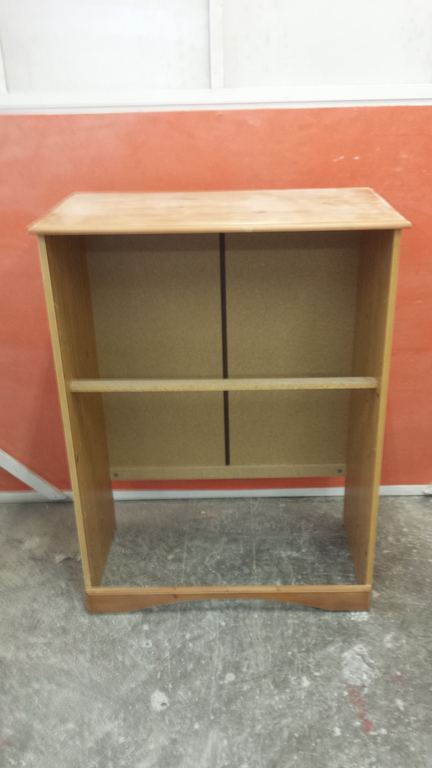 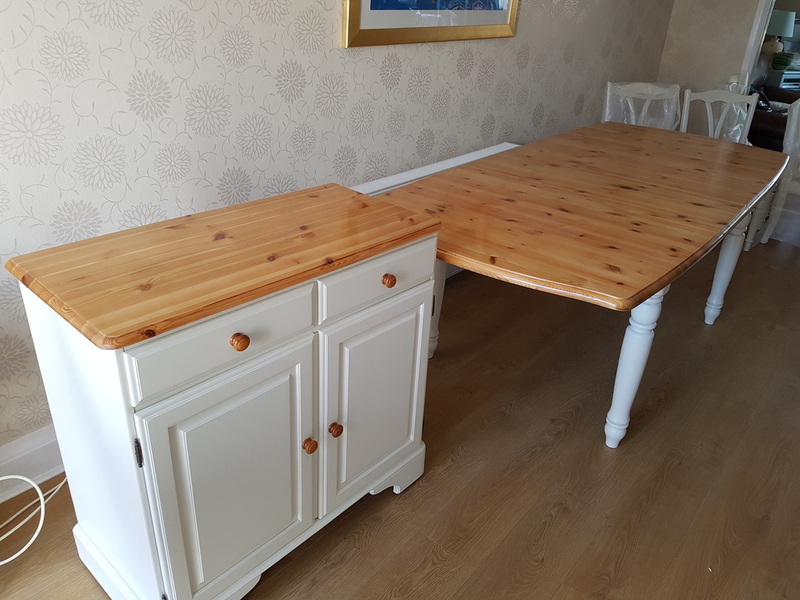 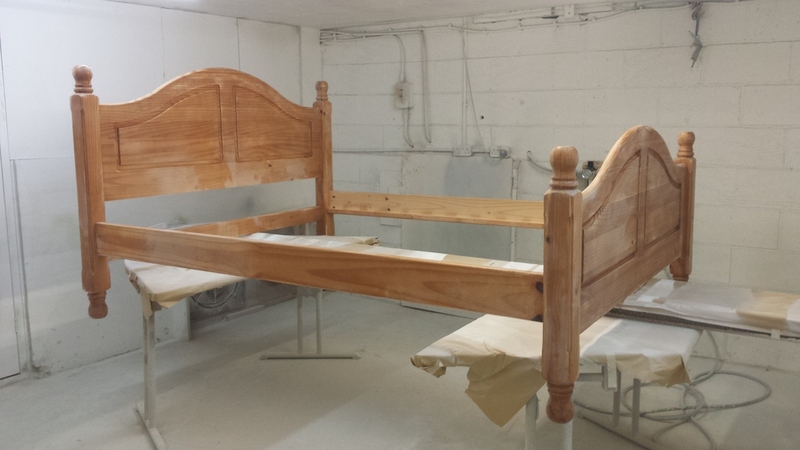 The slideshow below shows the story of our client's pine bedroom furniture being transformed. 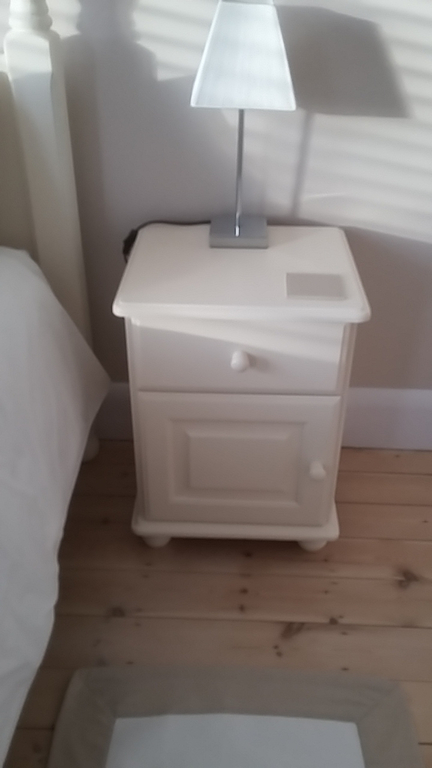 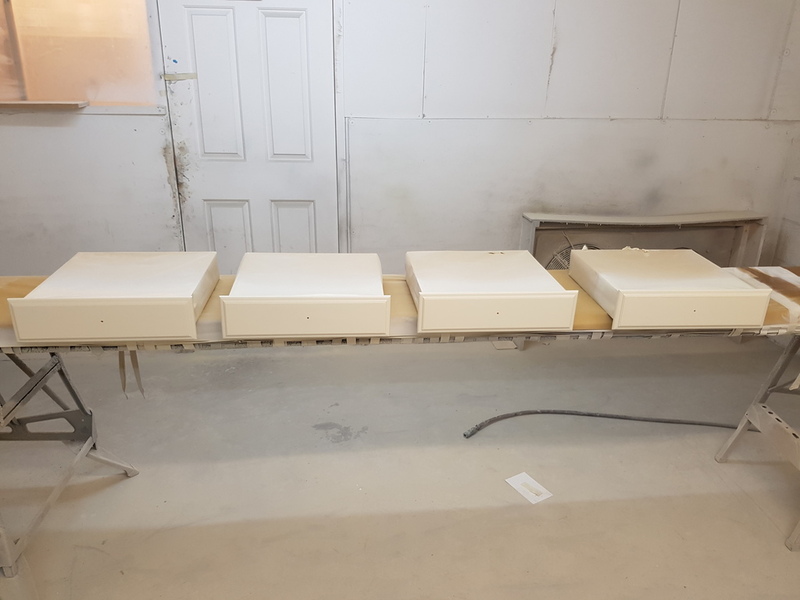 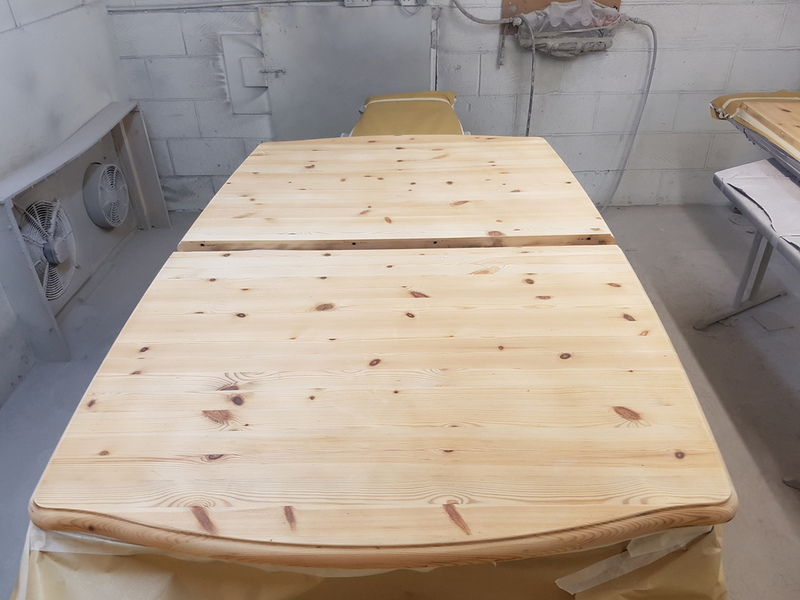 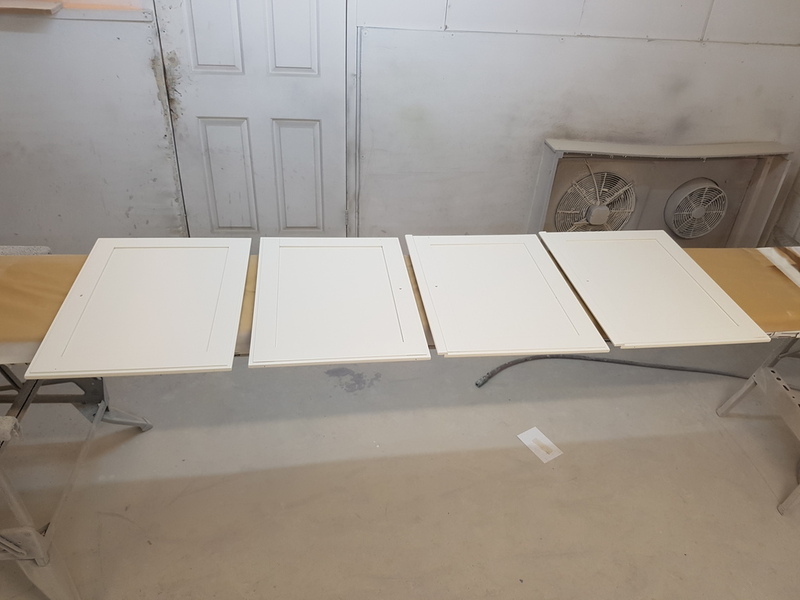 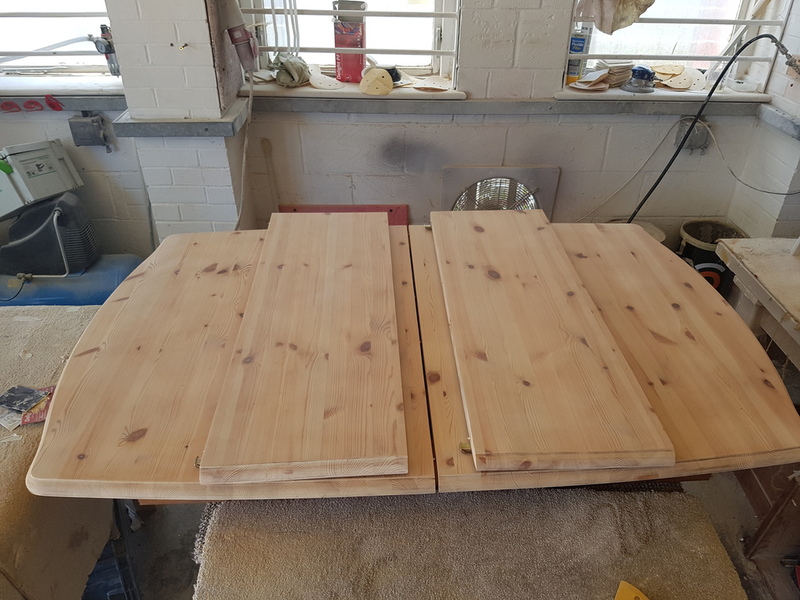 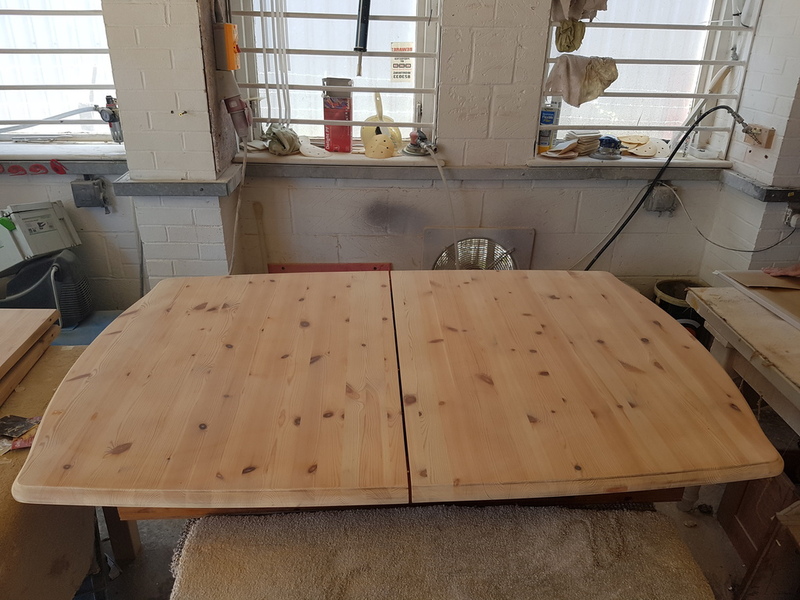 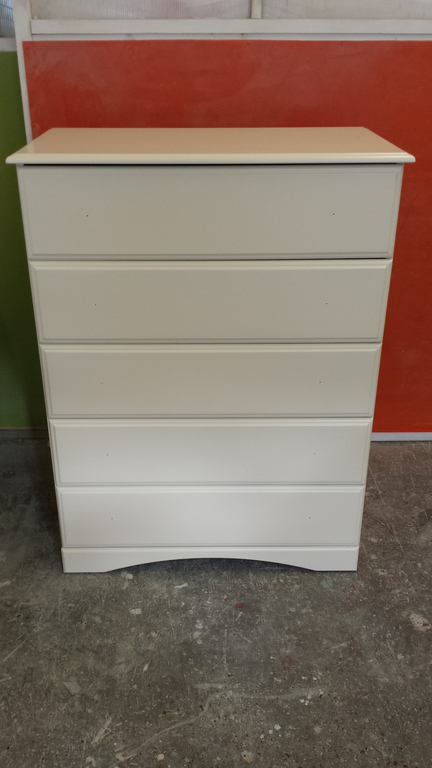 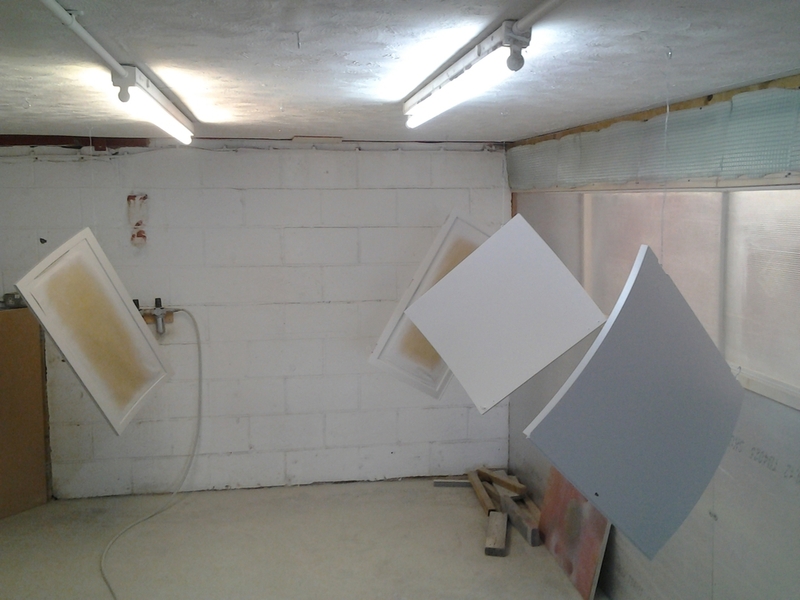 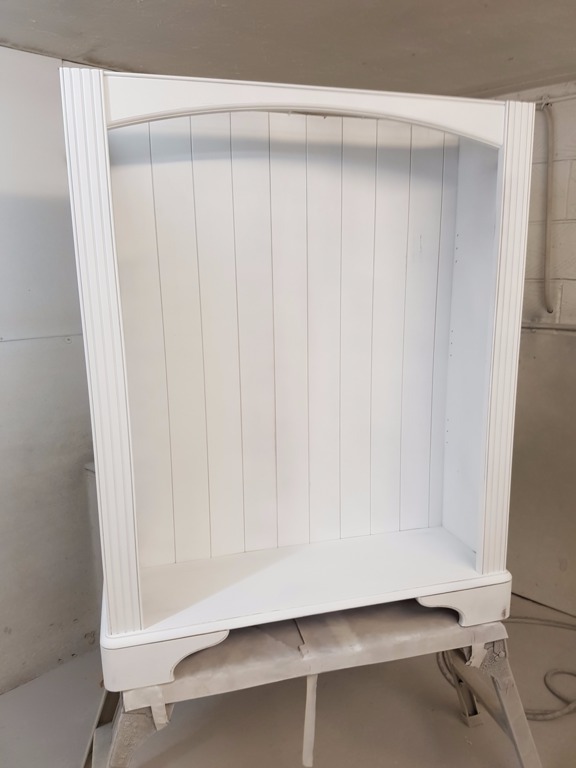 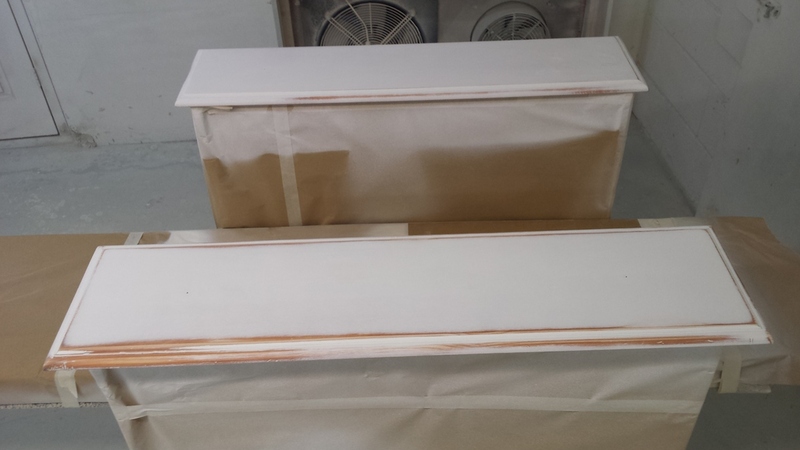 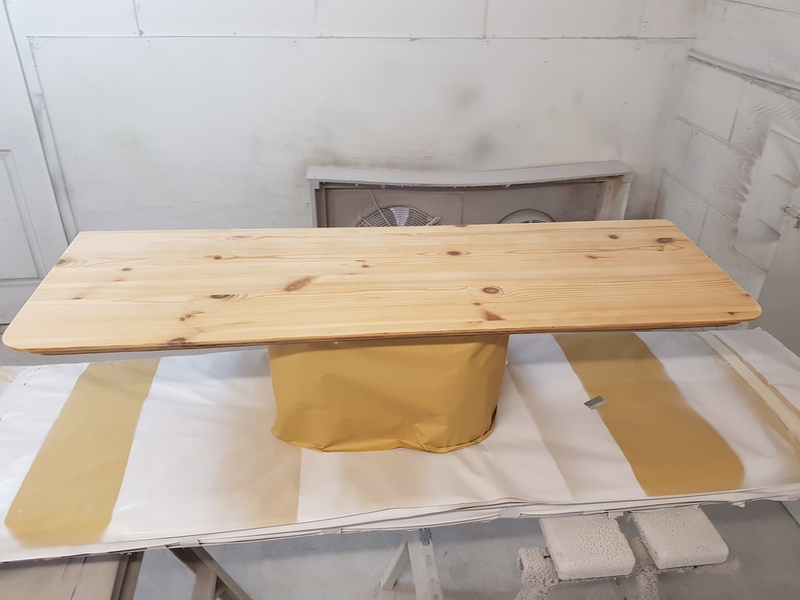 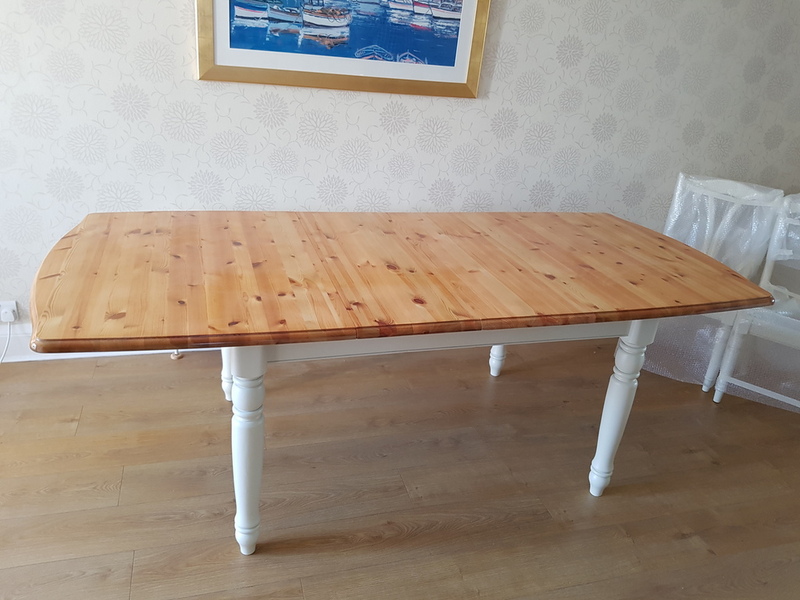 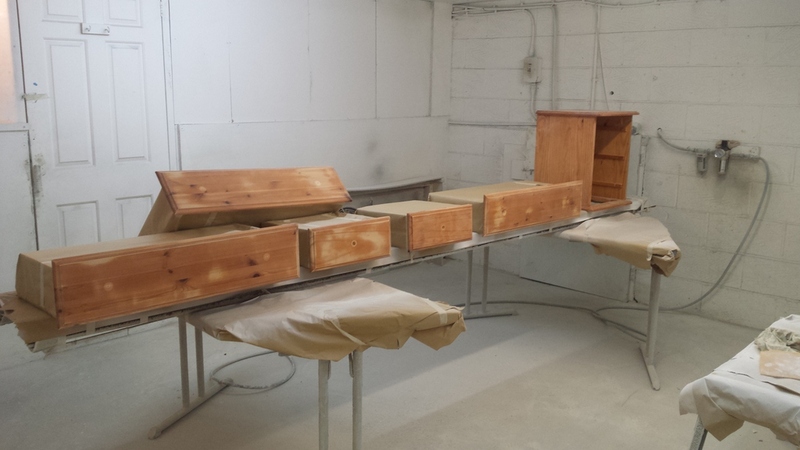 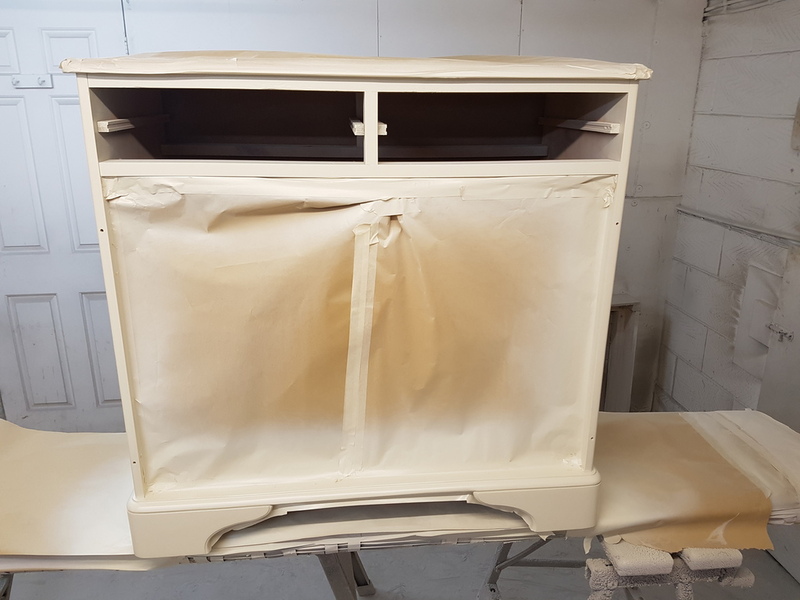 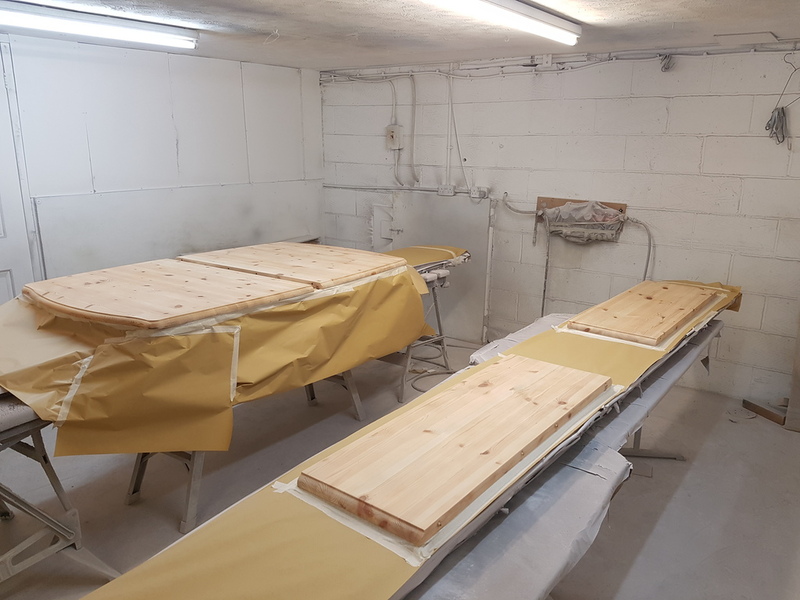 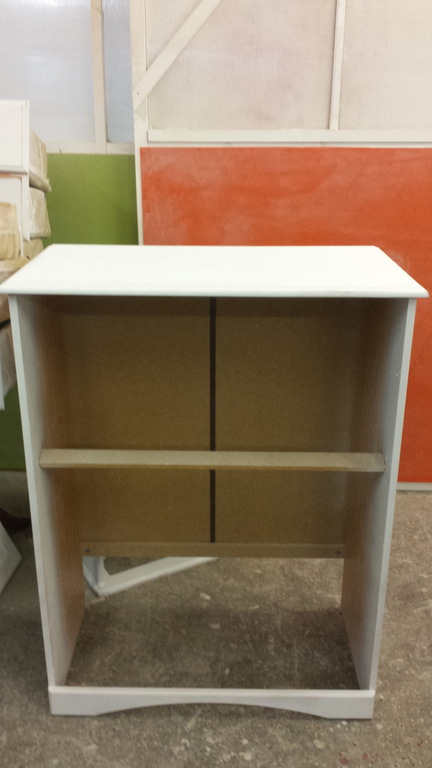 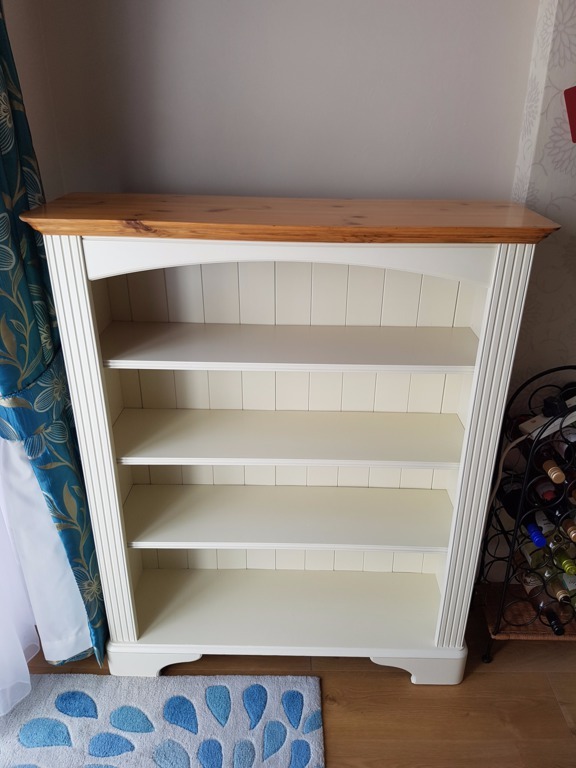 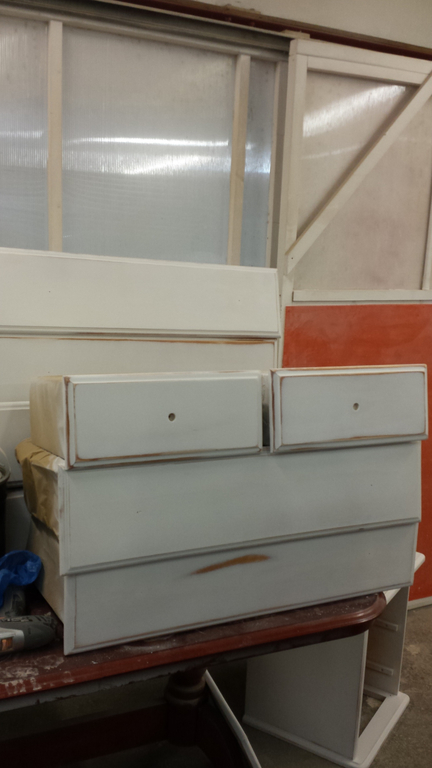 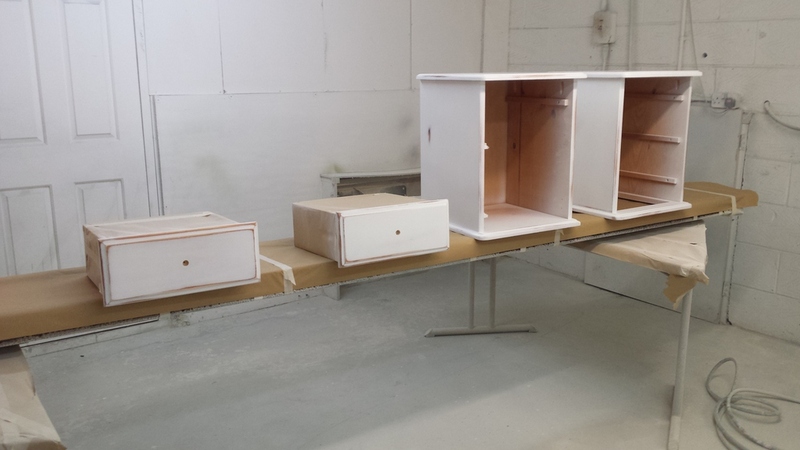 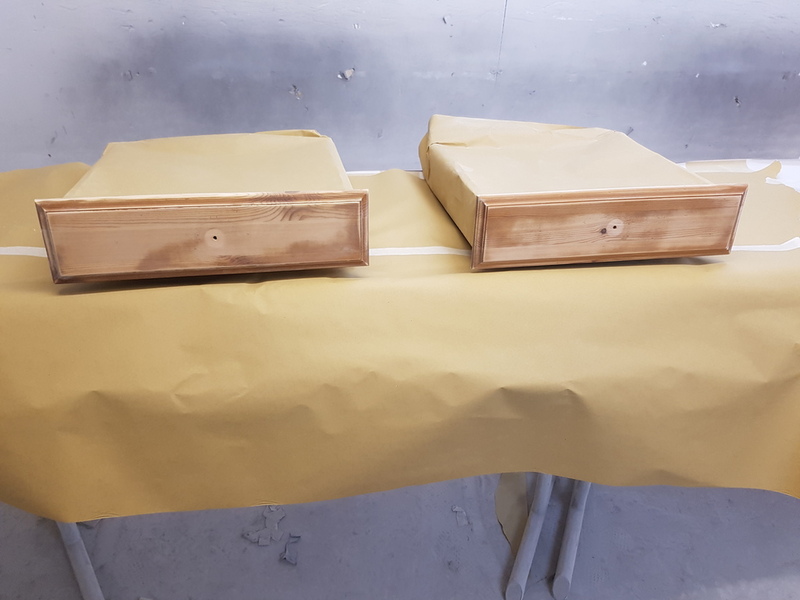 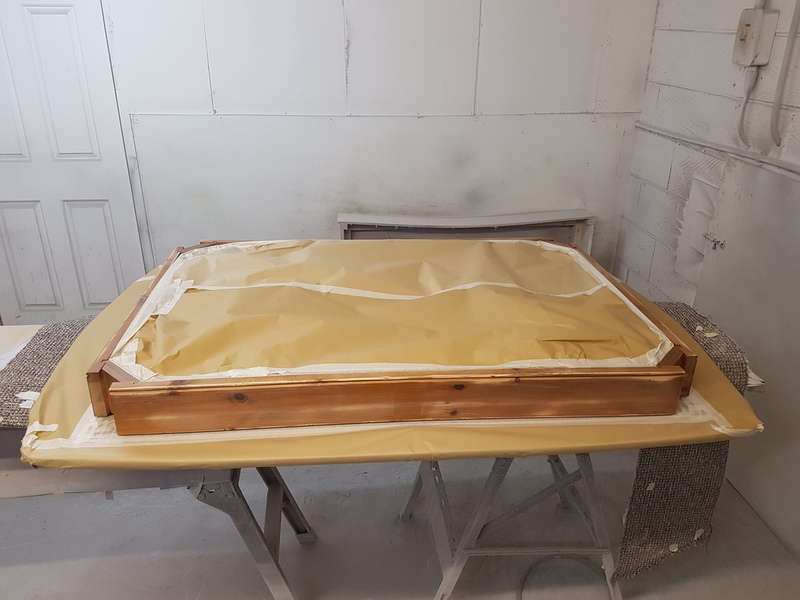 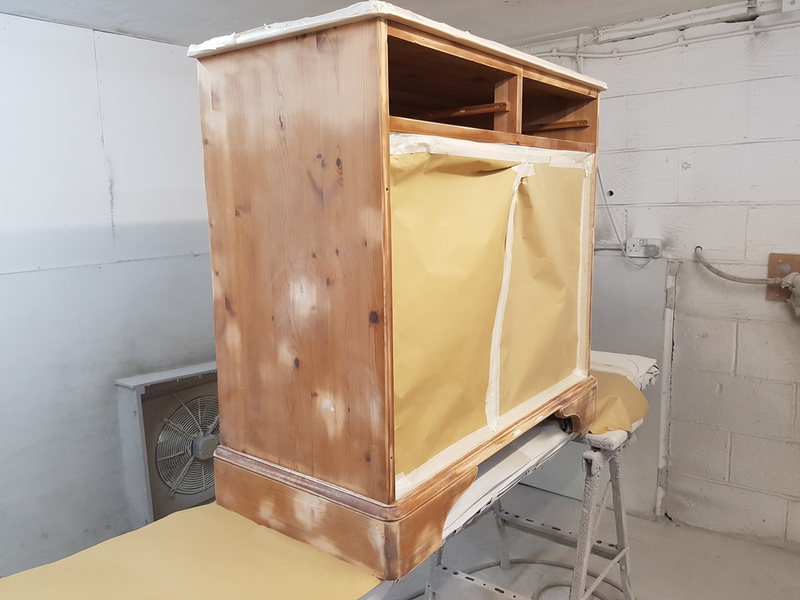 You will see the bedside tables, chest of drawers, bed, wardrobe doors and mirror going through the process of being sanded down, prepared, primed, sanded and finally spray painted into colour. 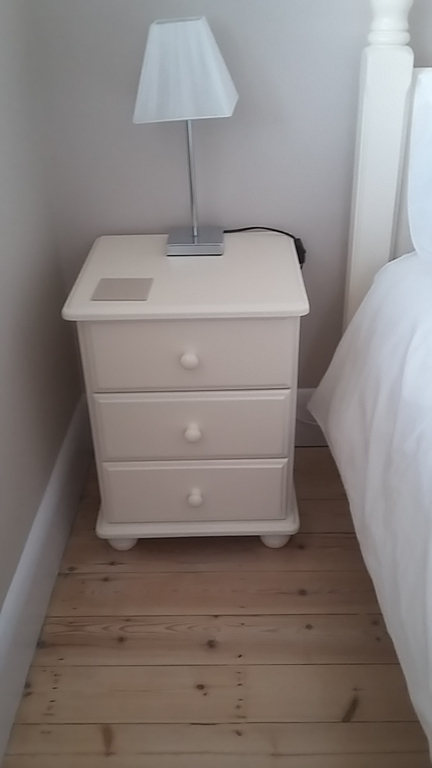 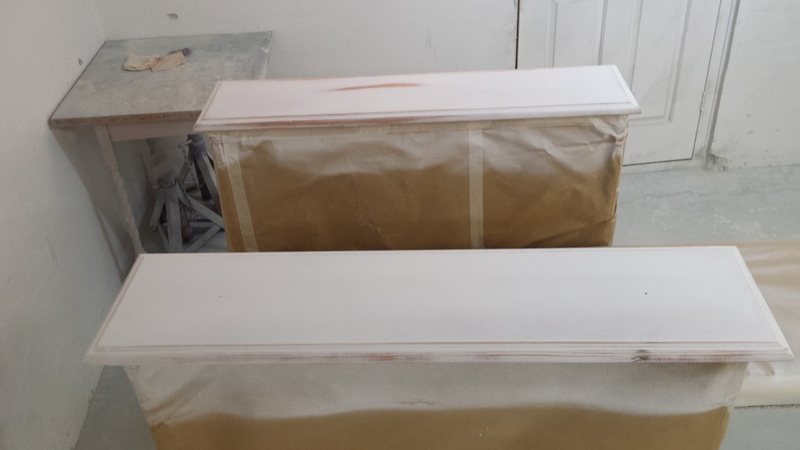 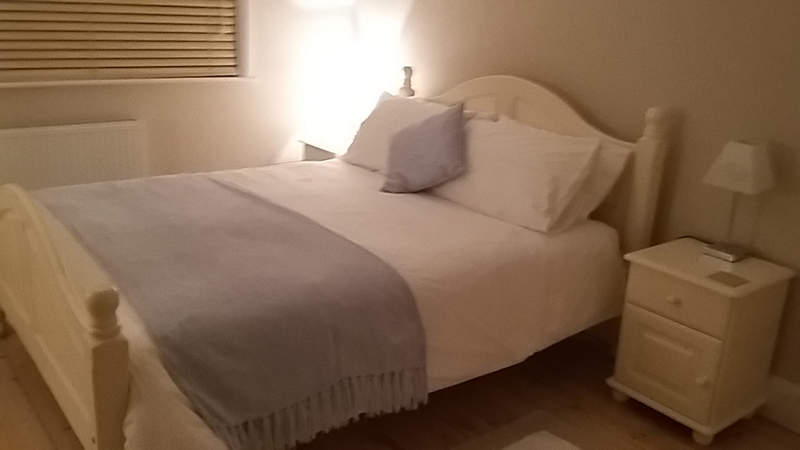 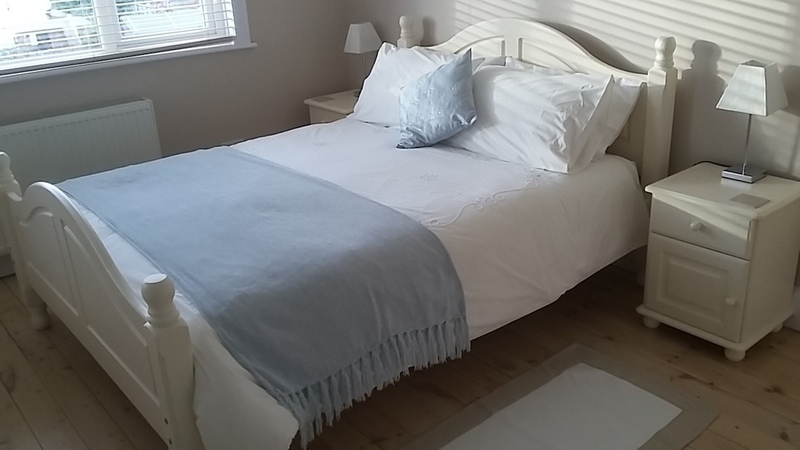 Our client chose Farrow & Ball's "Tallow" as the colour for our paint to be colour-matched to. 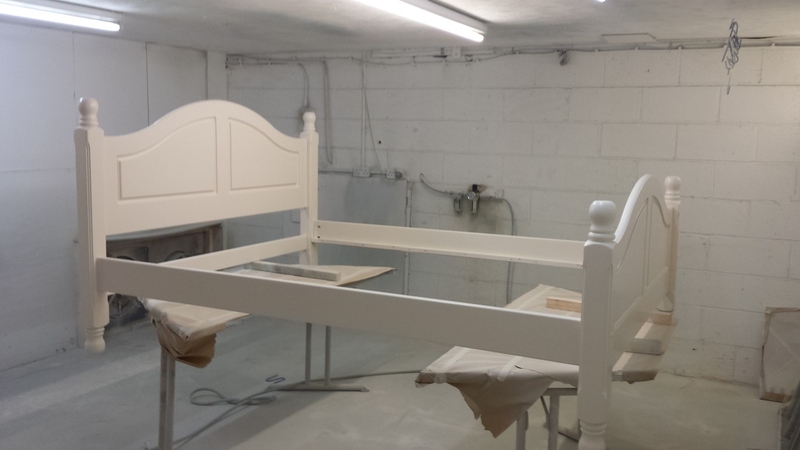 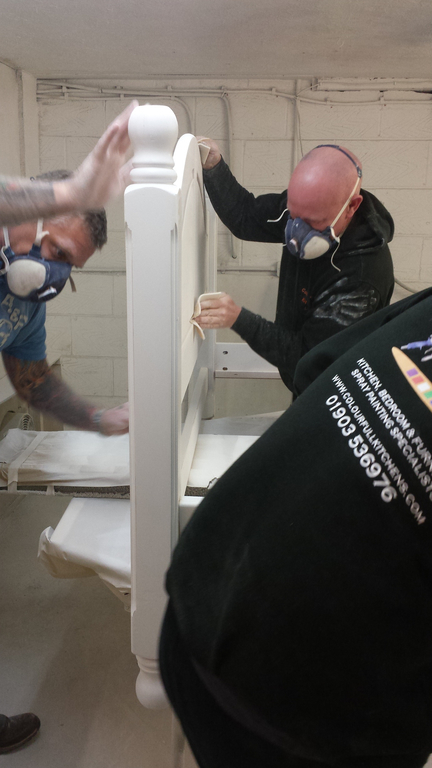 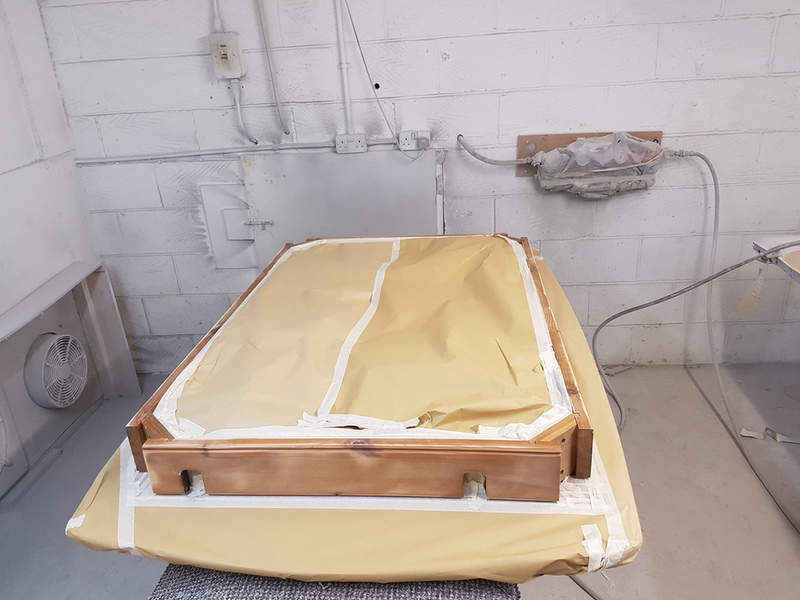 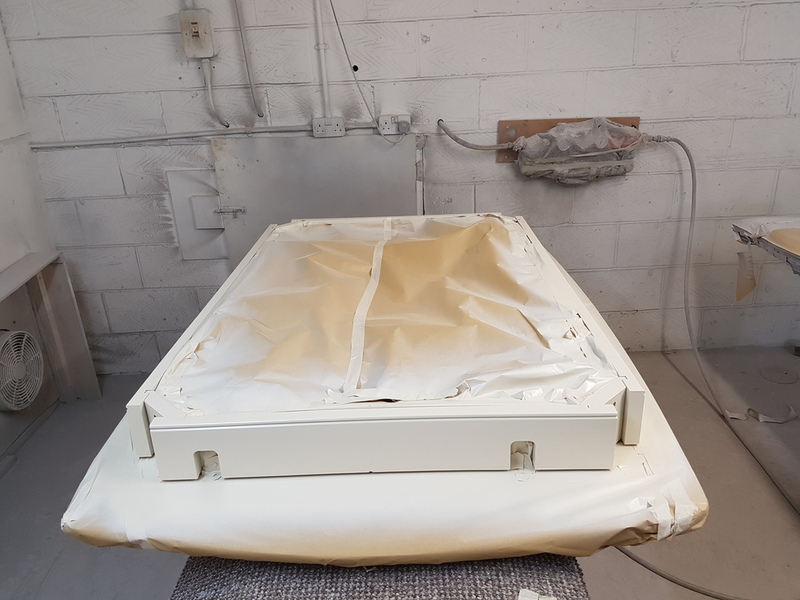 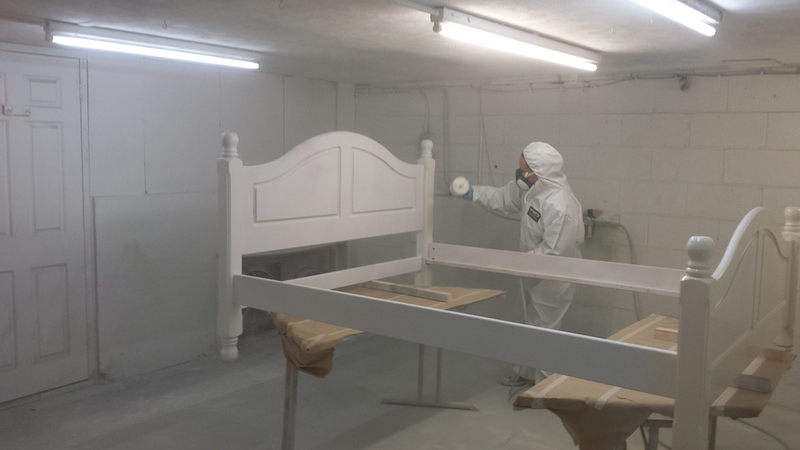 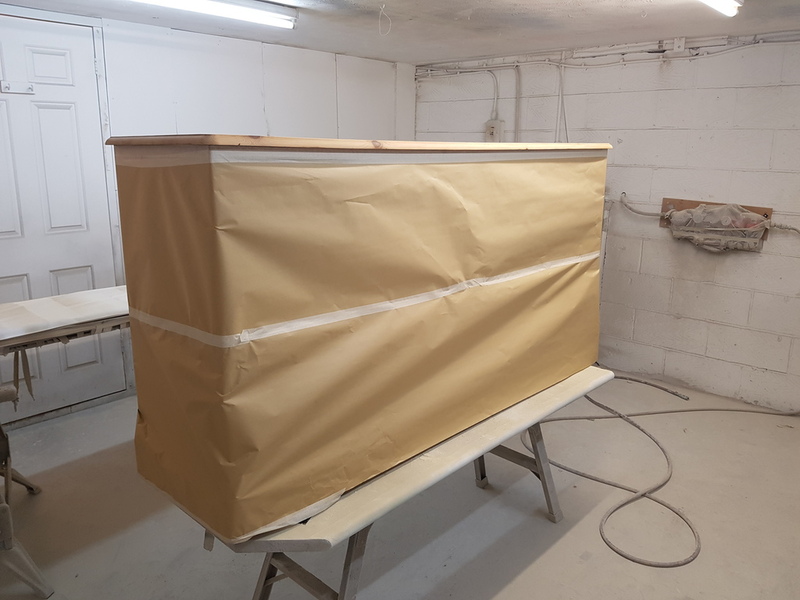 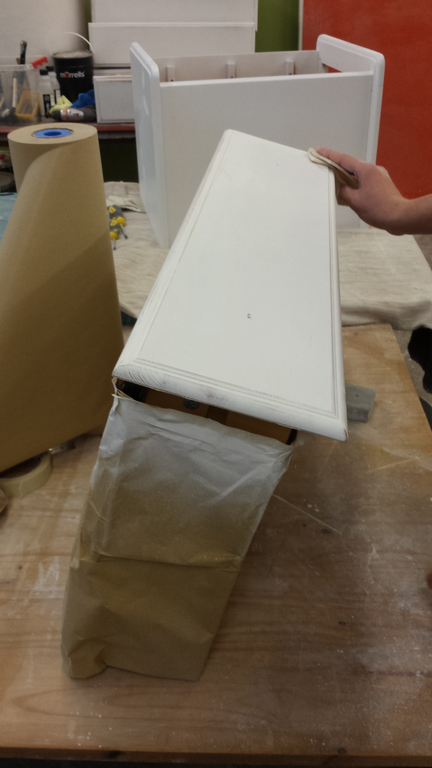 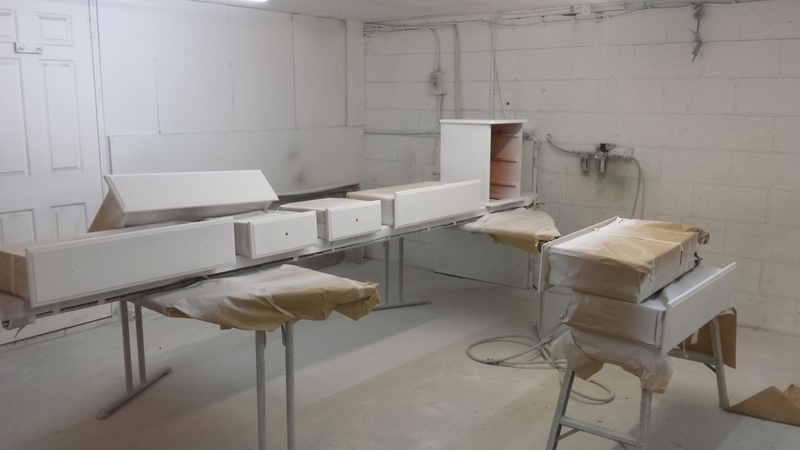 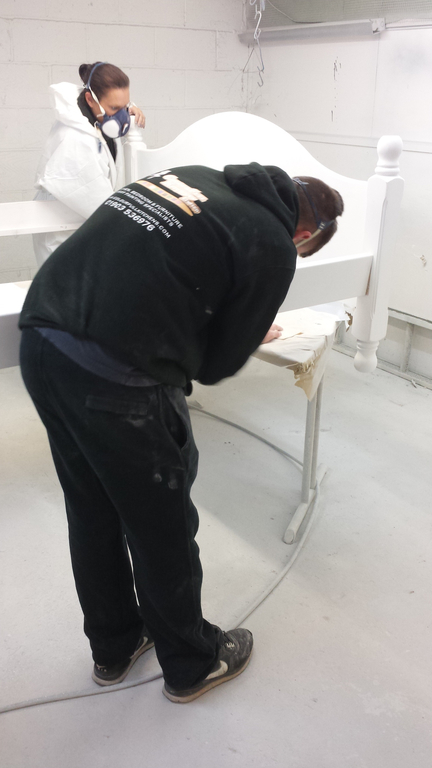 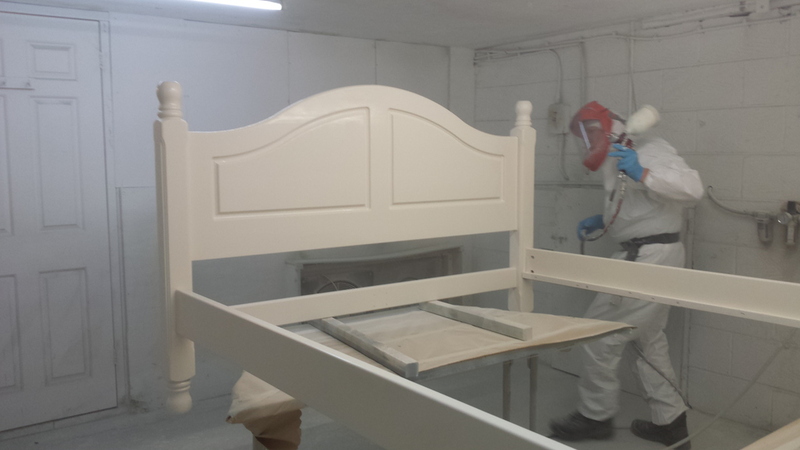 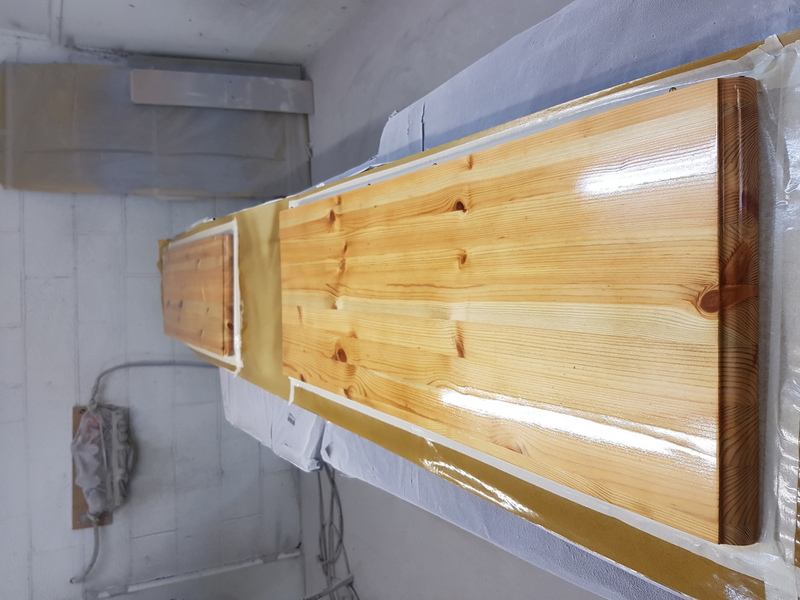 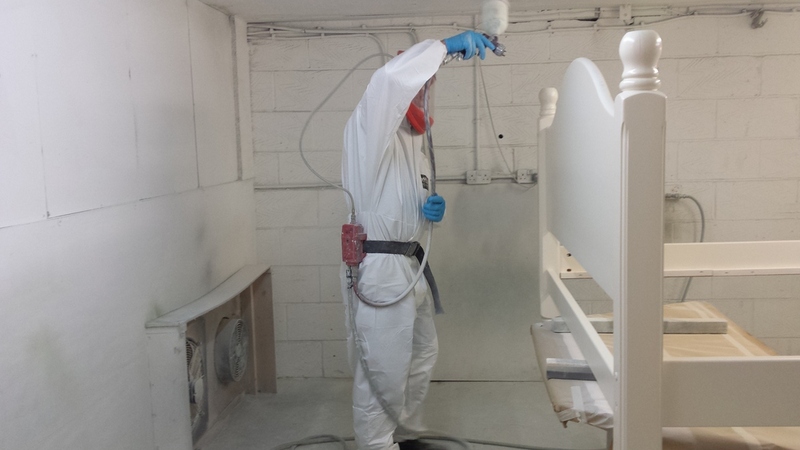 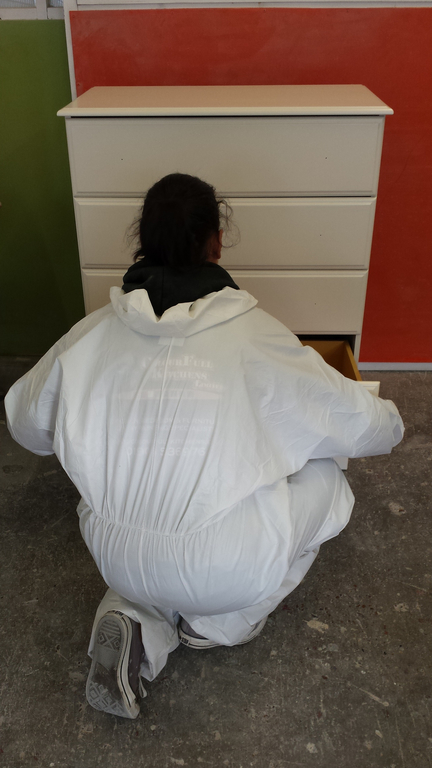 You can see a video of the top coat of colour being sprayed onto the bed on our Videos page. 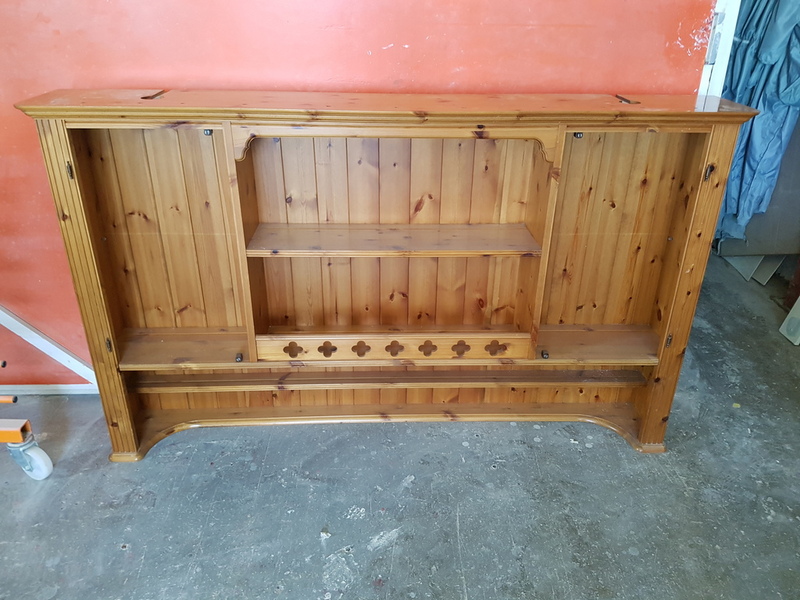 The beautiful & unusual piece of furniture below is called a Monks Bench. 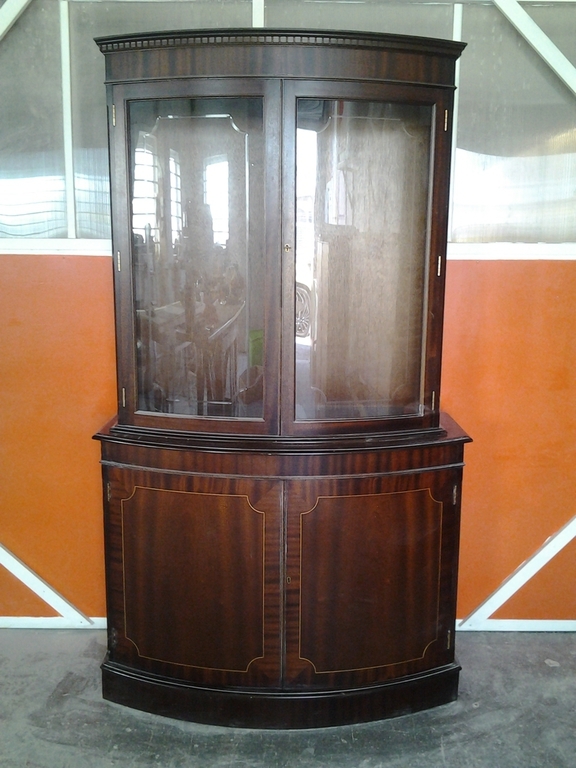 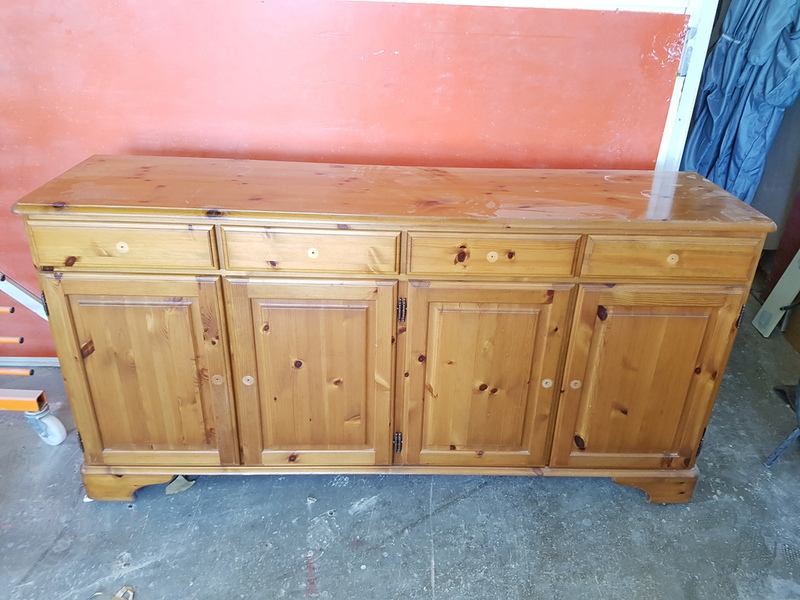 It is an antique, solid and well made... but it is dark wood and does not fit in with other furniture in the home. 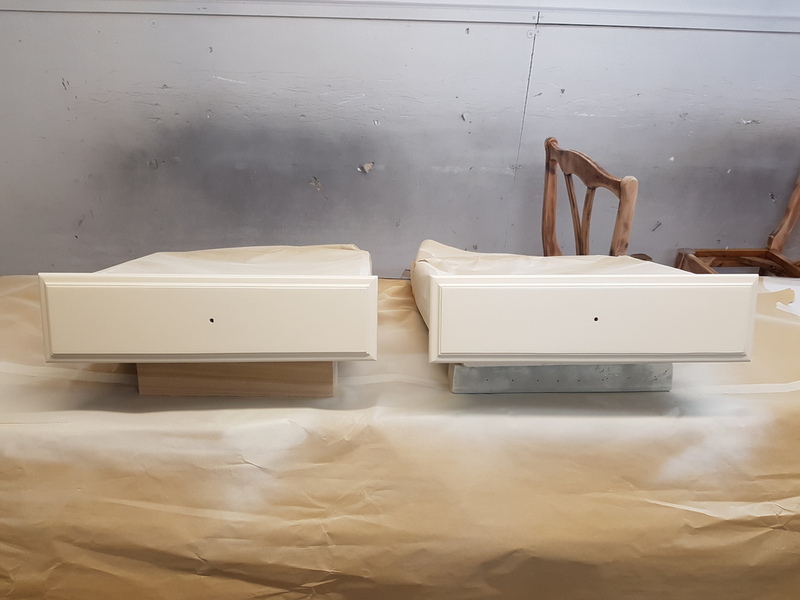 We spray painted it into paint colour-matched to Farrow & Ball's "Elephants Breath" with the lions sprayed "Cornforth White". 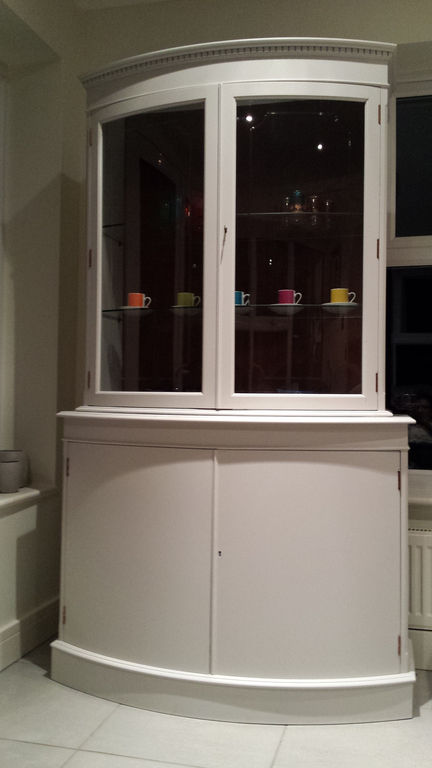 It is now bright & unique and taking pride of place in the home (and a much talked about piece of furniture). 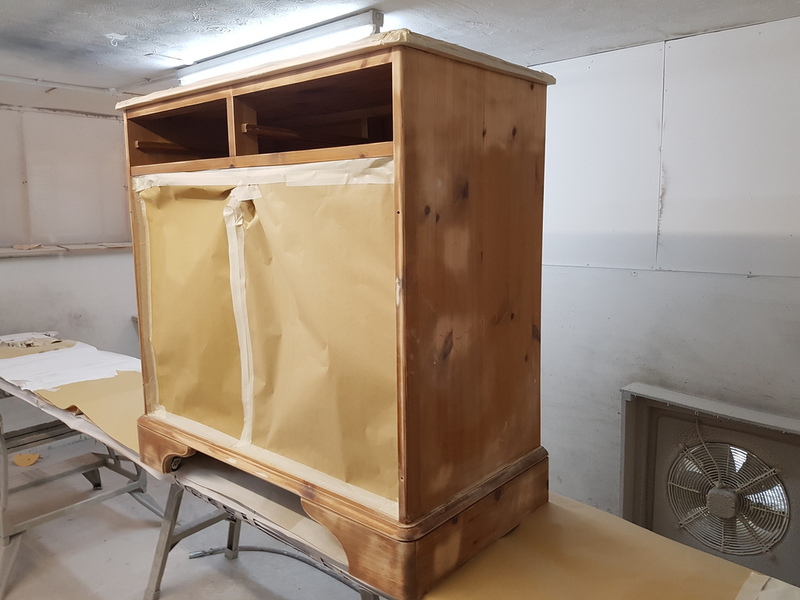 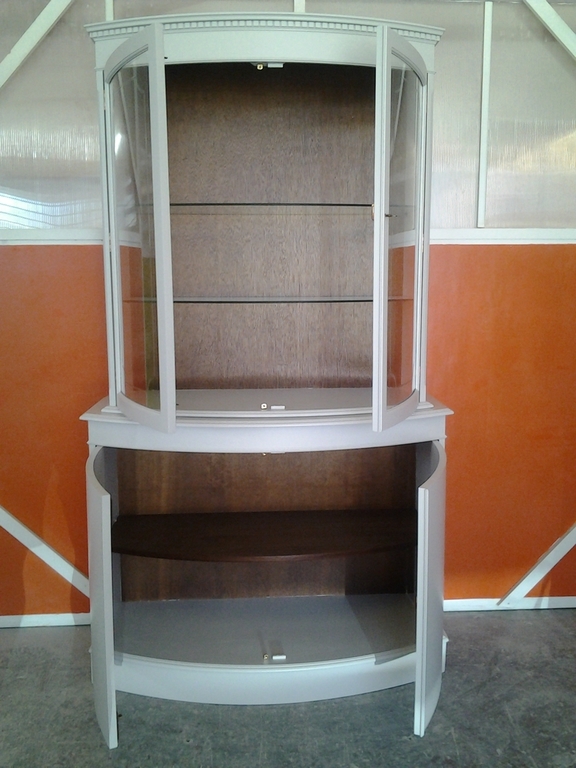 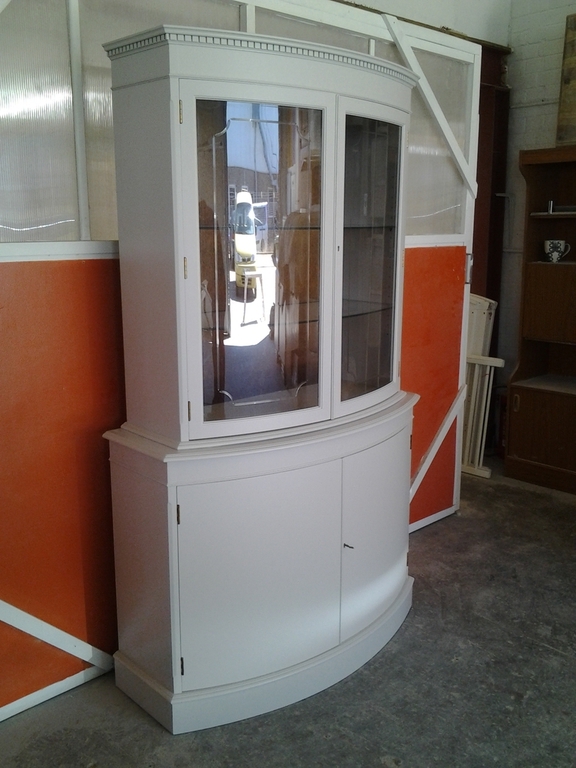 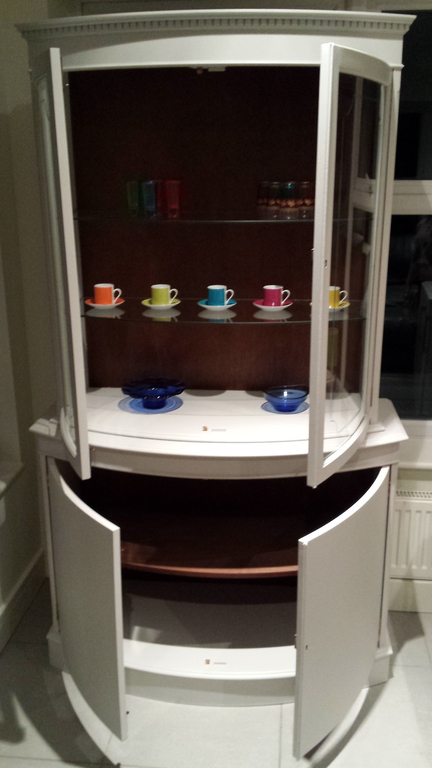 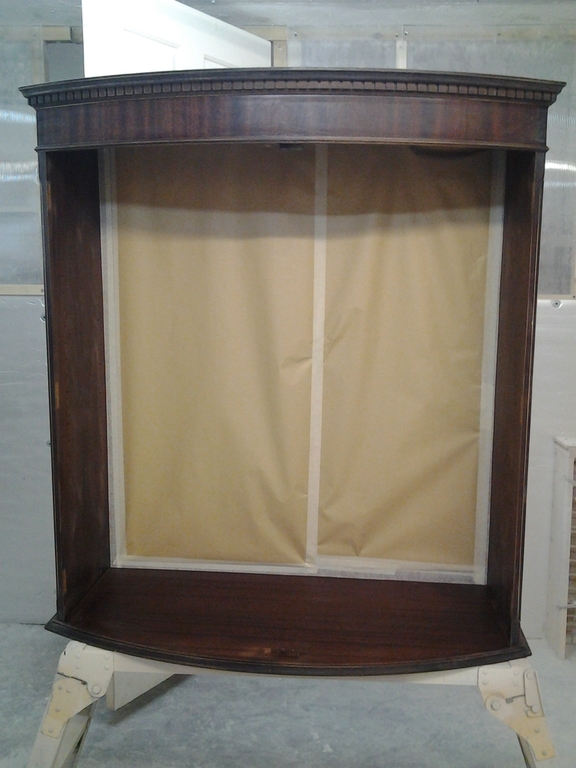 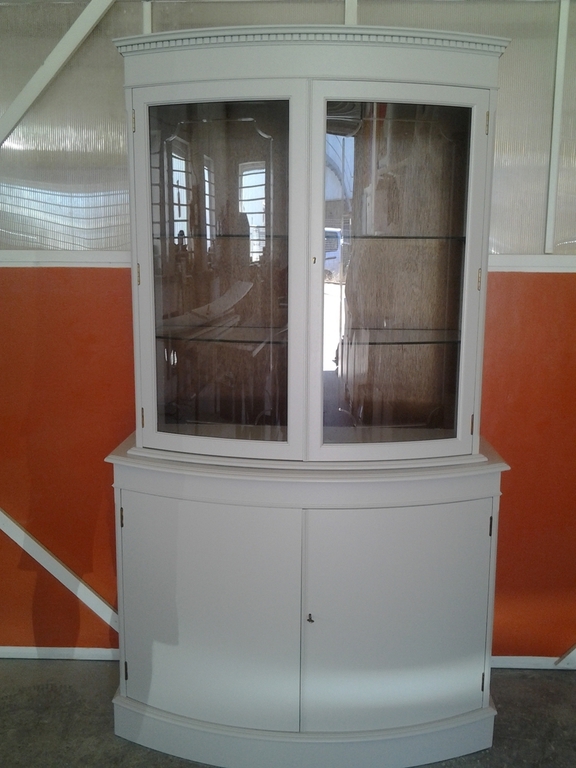 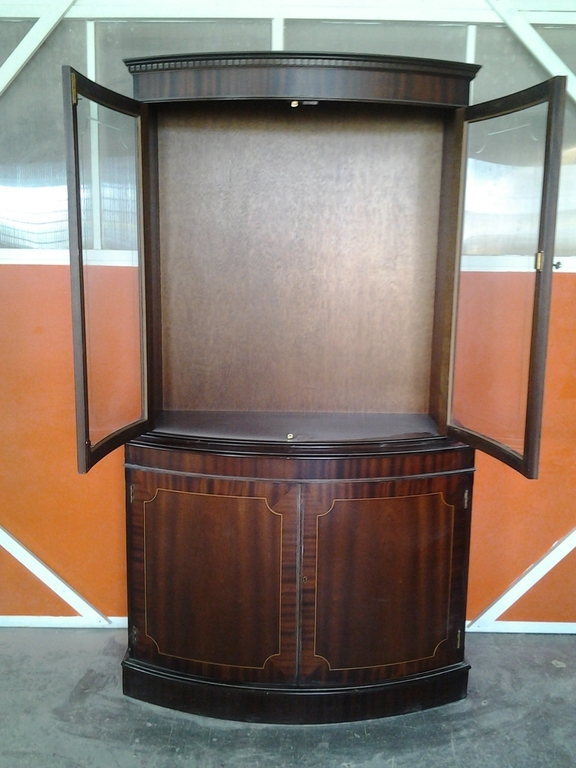 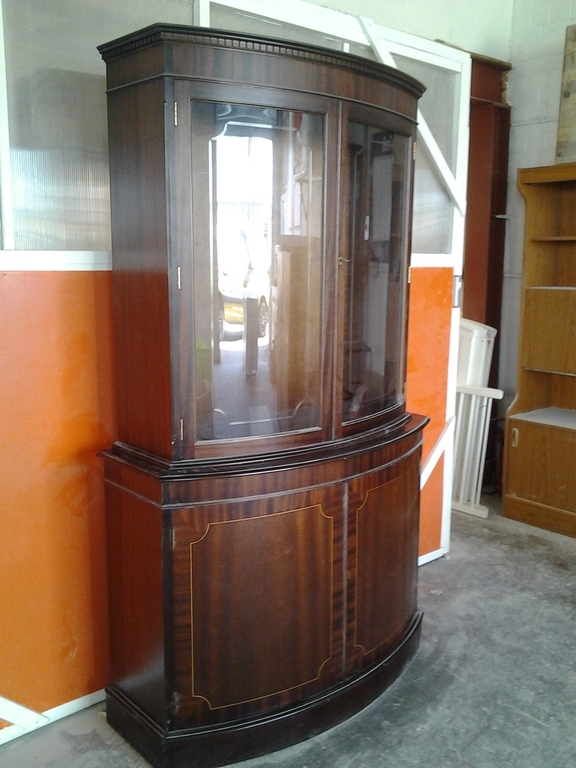 Below is a slideshow showing a dark wooden tall display cabinet that we transformed into a modern and bright piece of furniture. 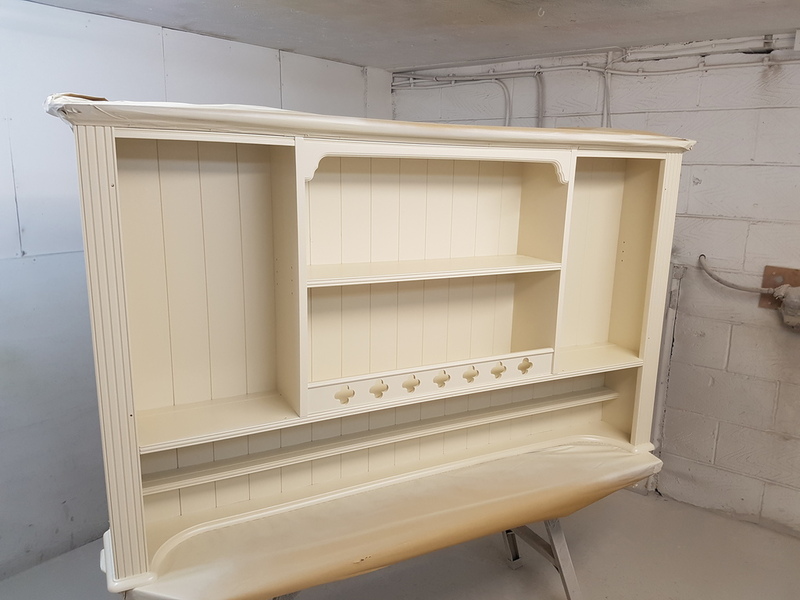 We spray painted it using a hardened polyurethane acrylic paint, colour matched to a Farrow & Ball colour called "Cornforth White".